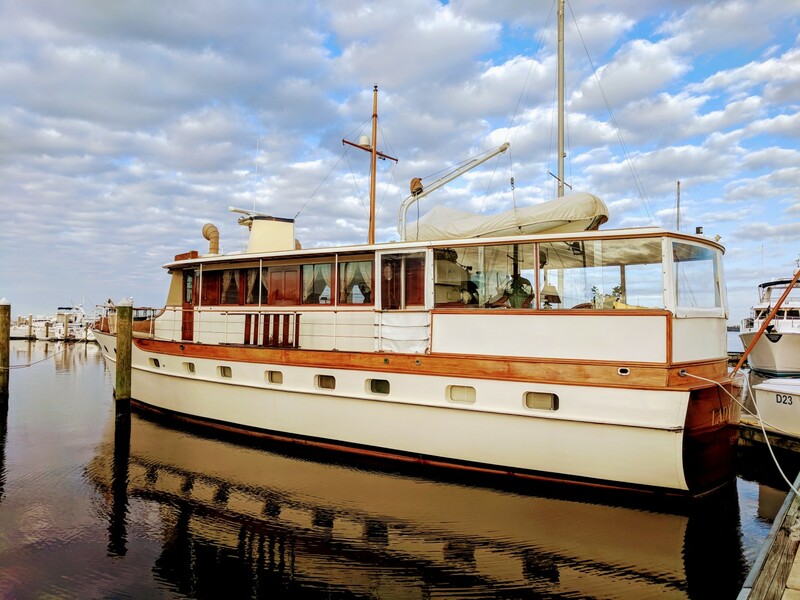 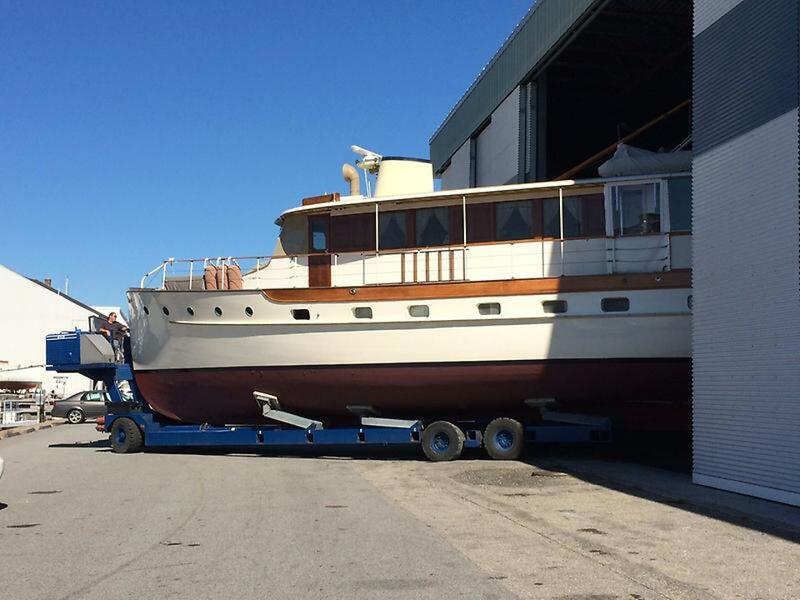 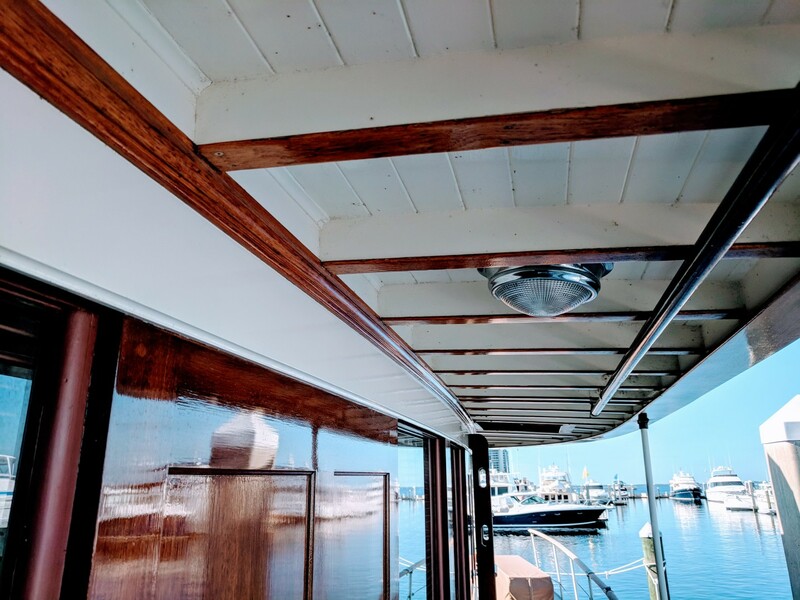 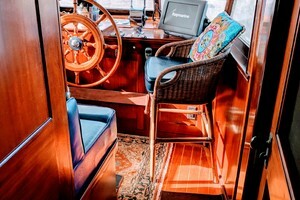 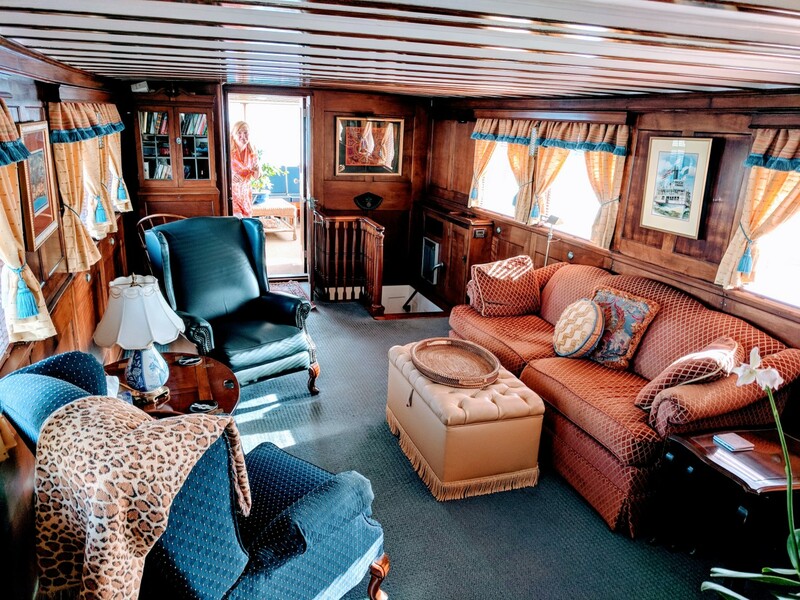 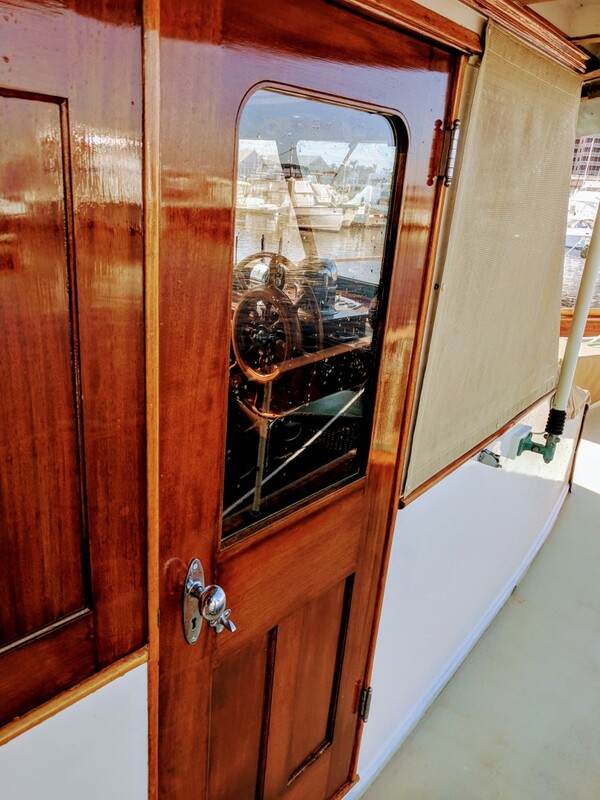 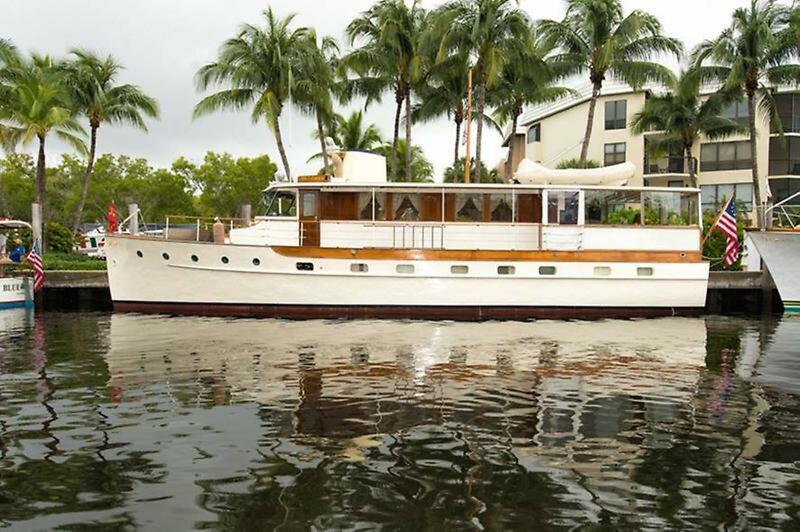 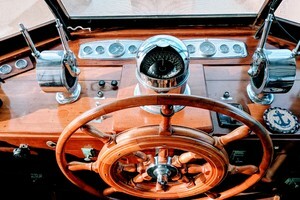 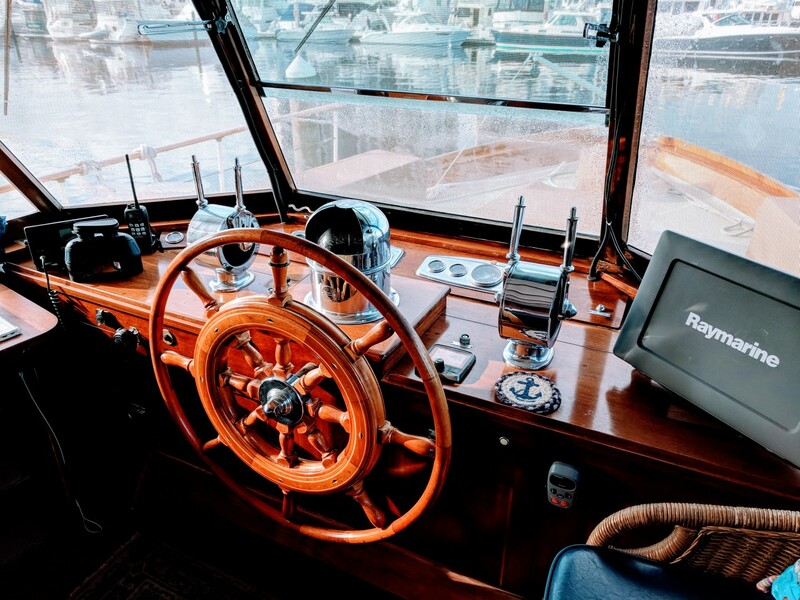 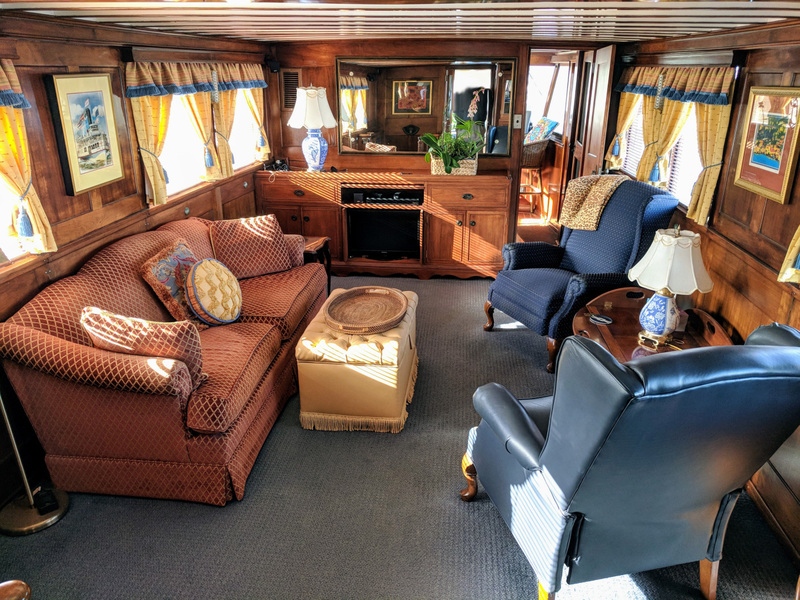 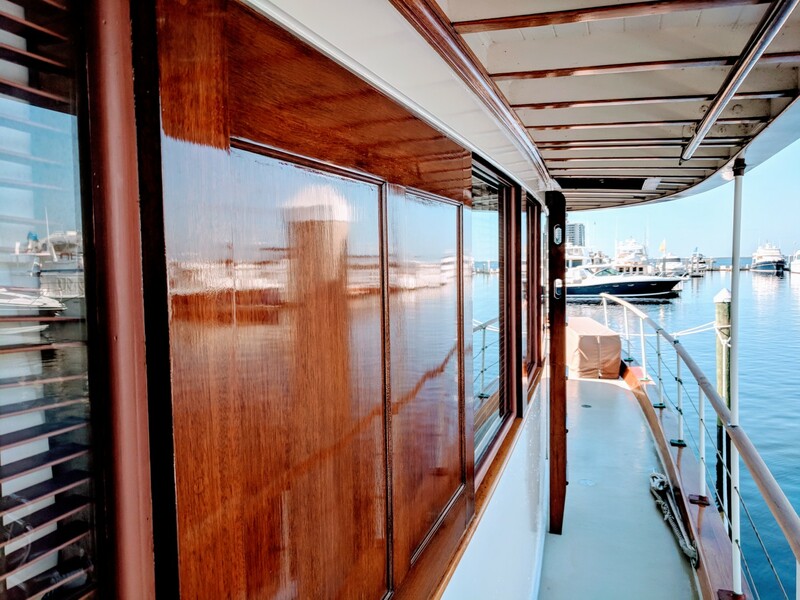 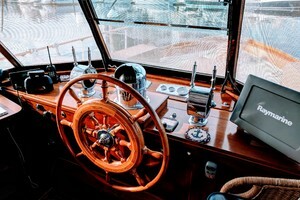 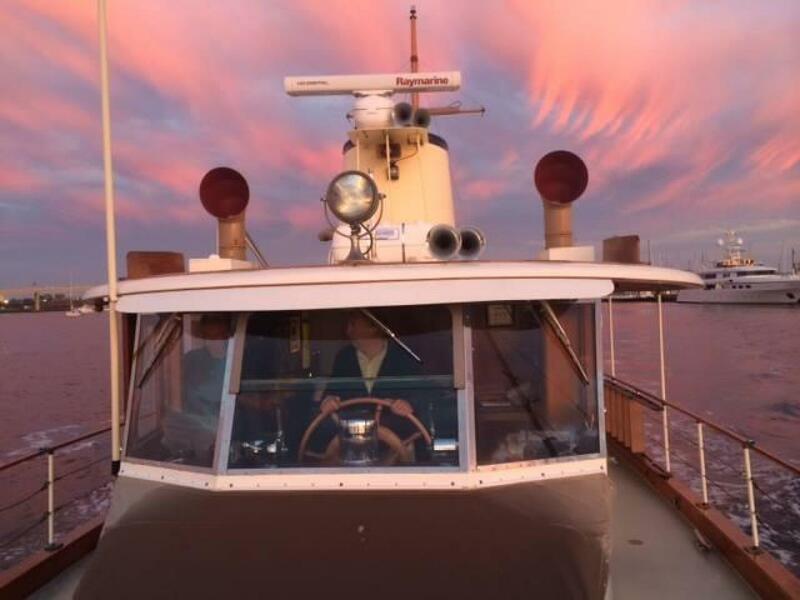 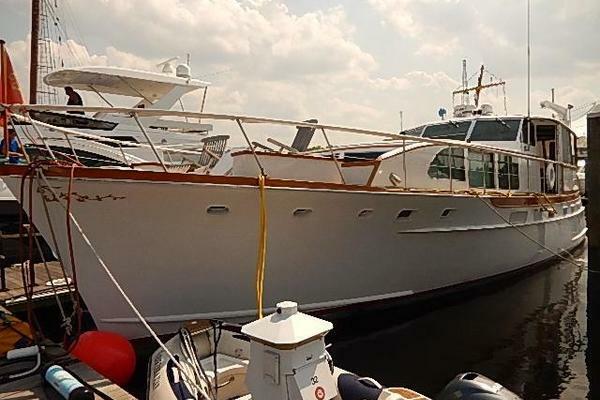 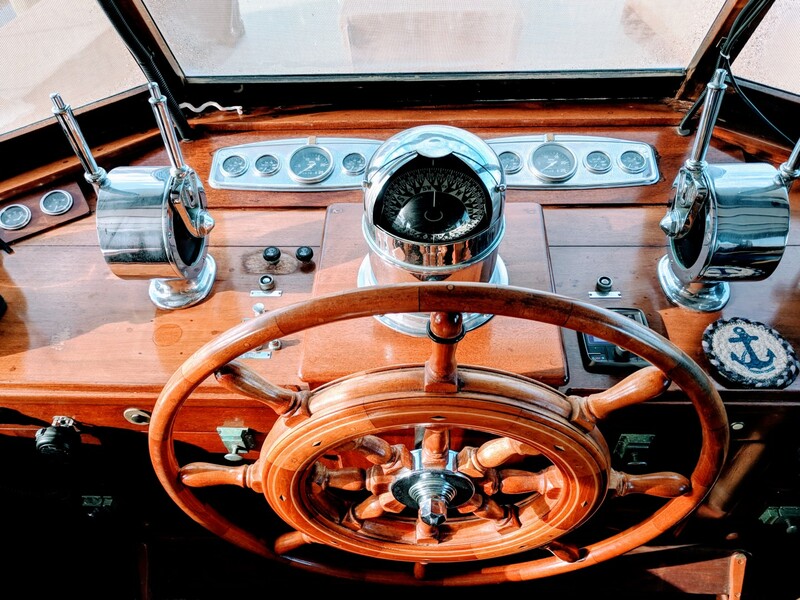 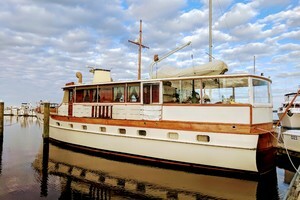 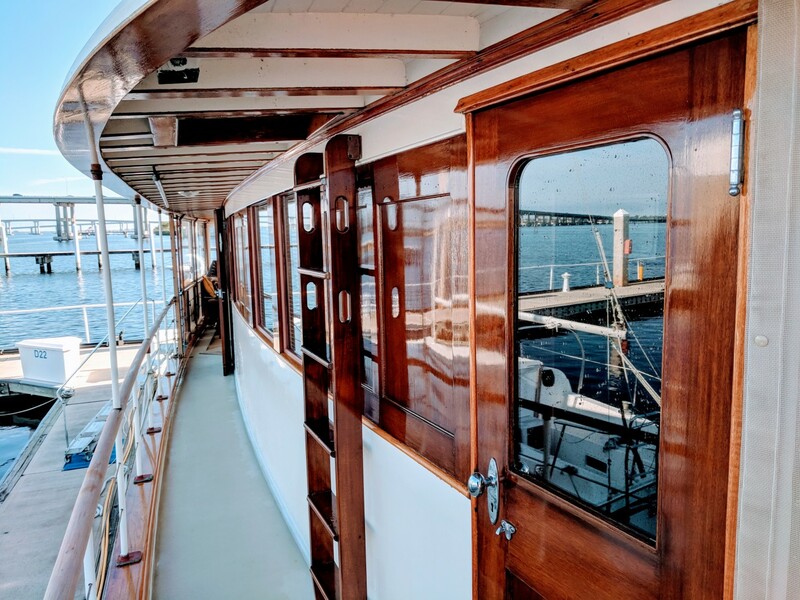 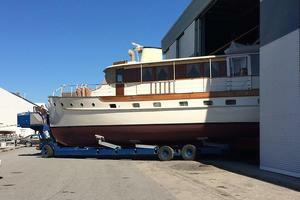 "Lady Catherine" was the last yacht completed at the Trumpy yard in Gloucester N.J. before their move to the Annapolis Yacht Yard in Annapolis, Maryland. 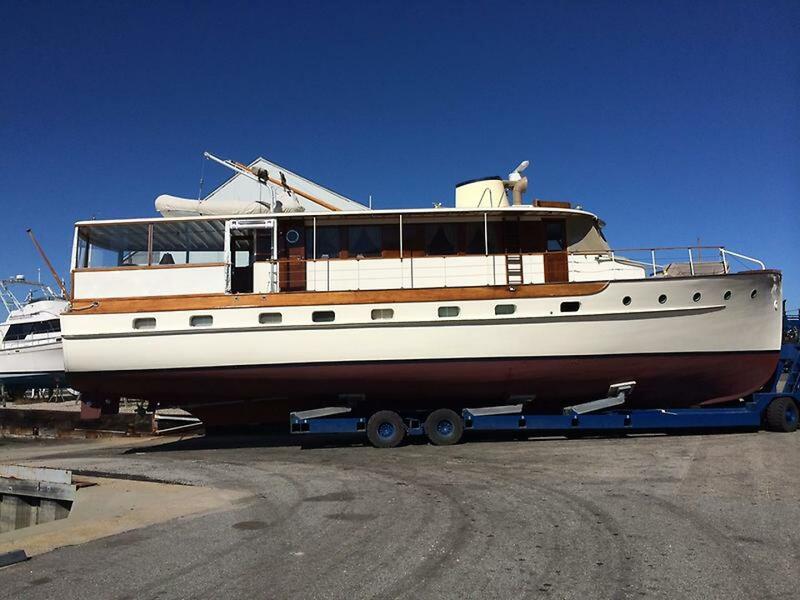 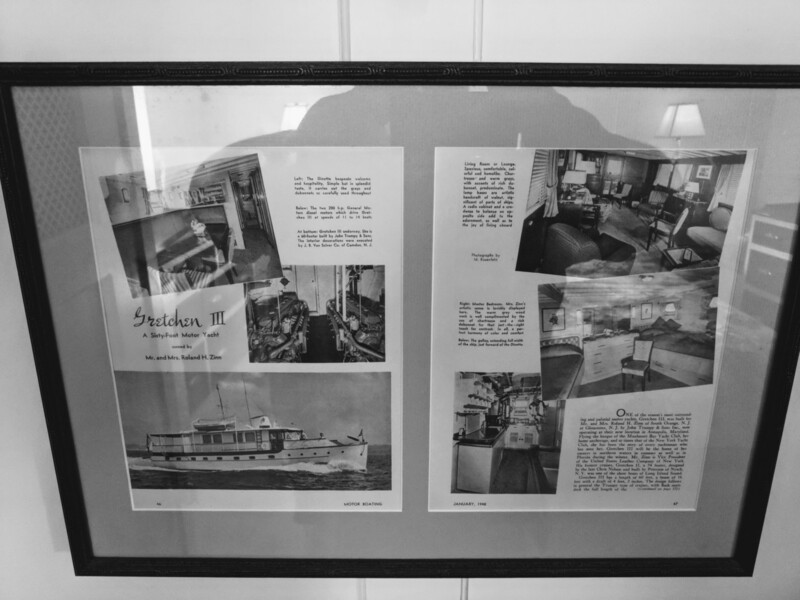 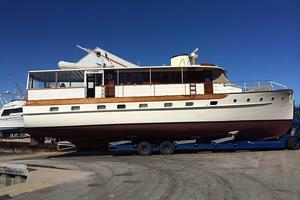 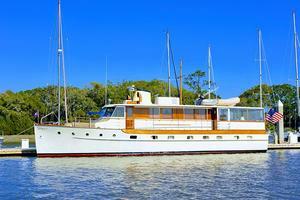 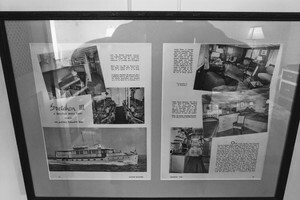 She is owned by "hands on" caring yachtsmen/owners who have lovingly updated her to her present condition. 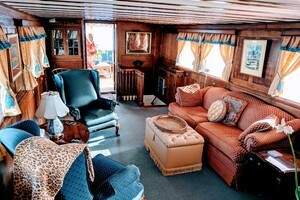 Please take a look at the photos of her interior, and call us for full specs and a personal tour of this fine Trumpy. 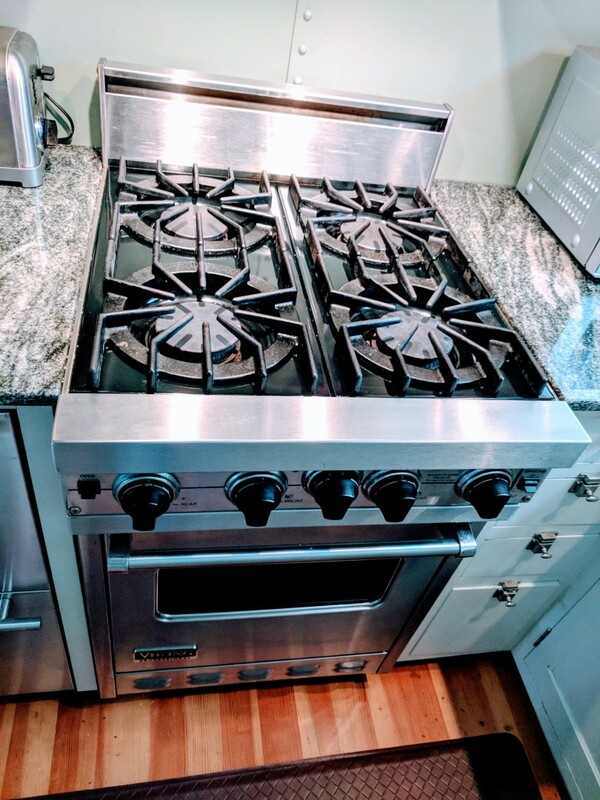 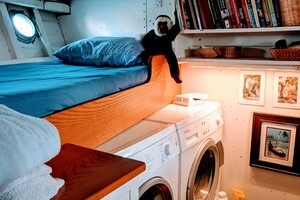 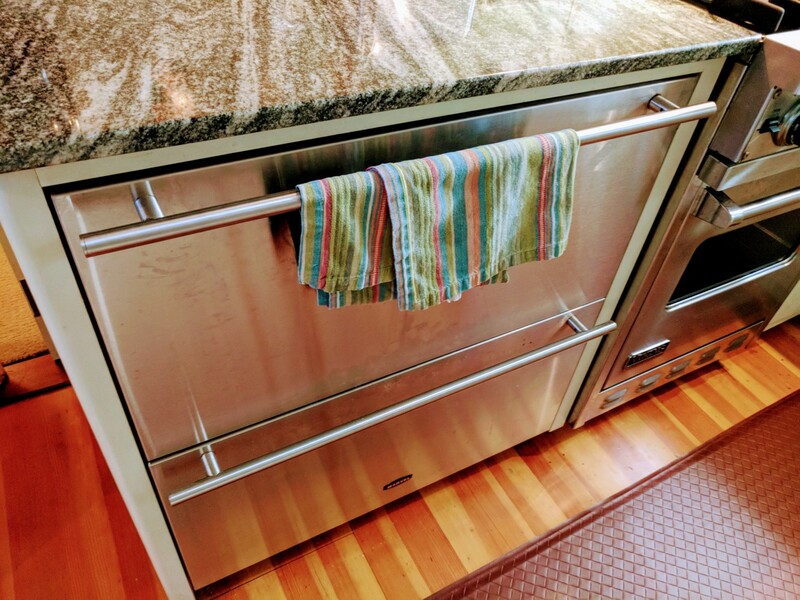 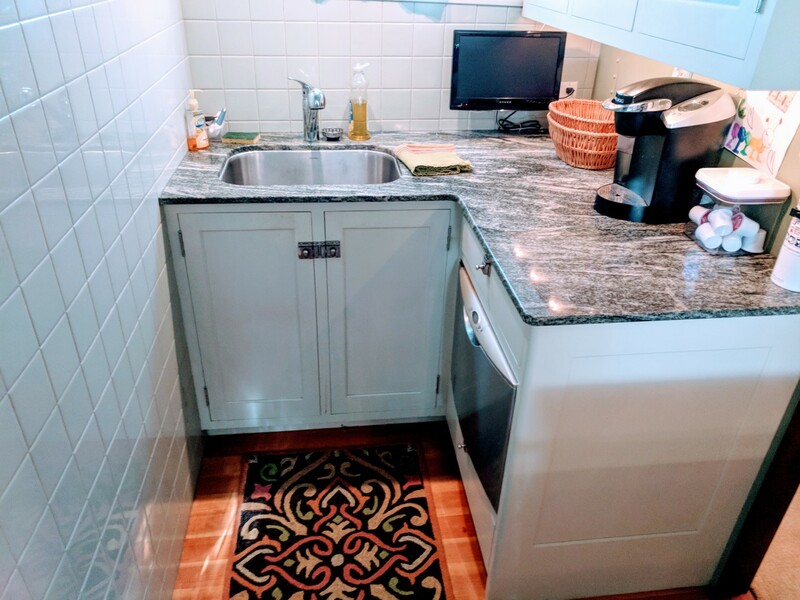 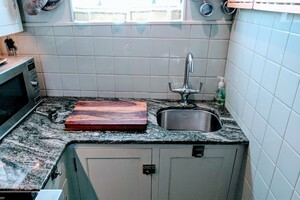 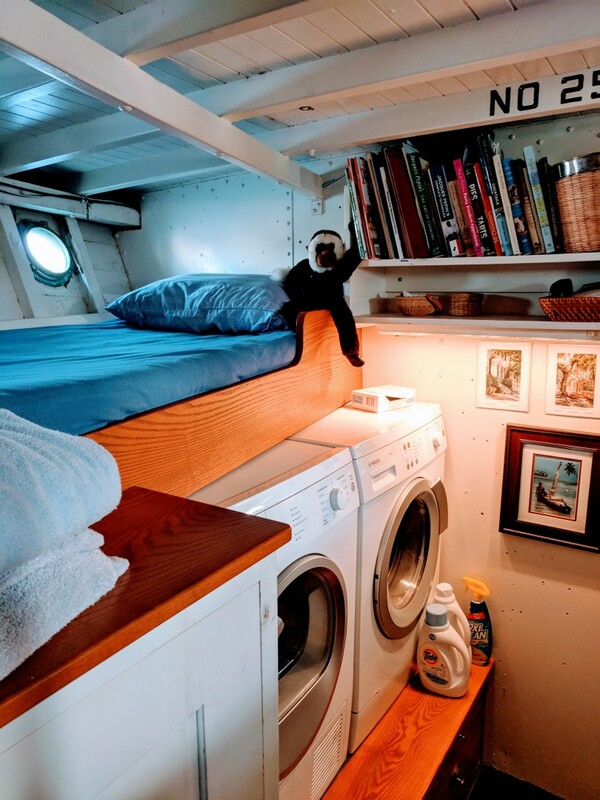 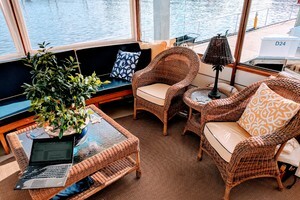 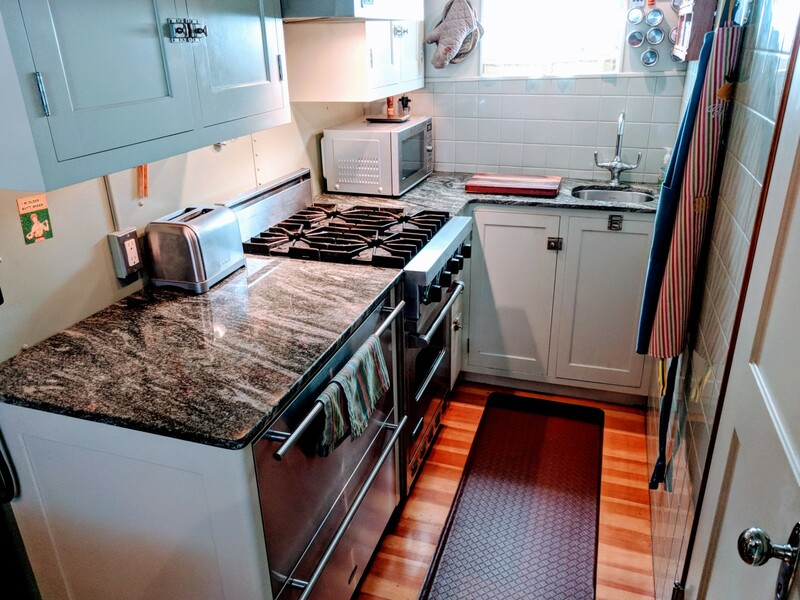 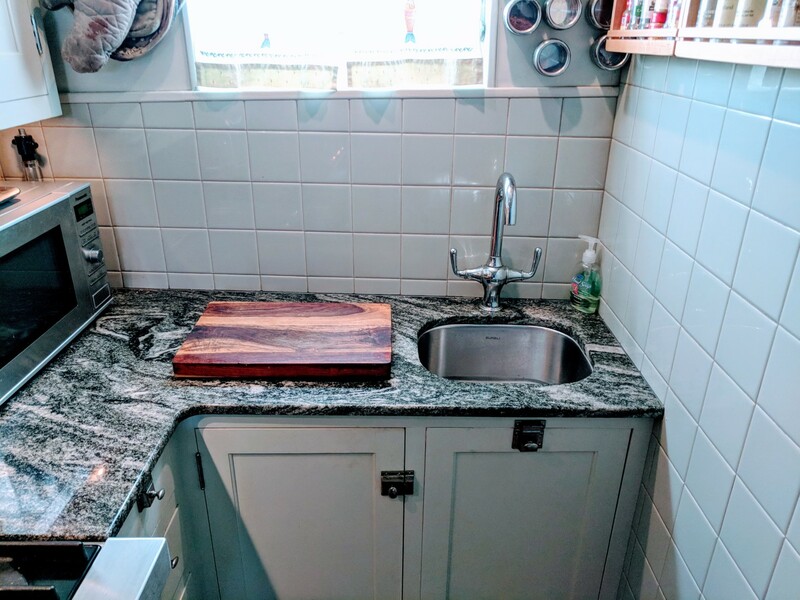 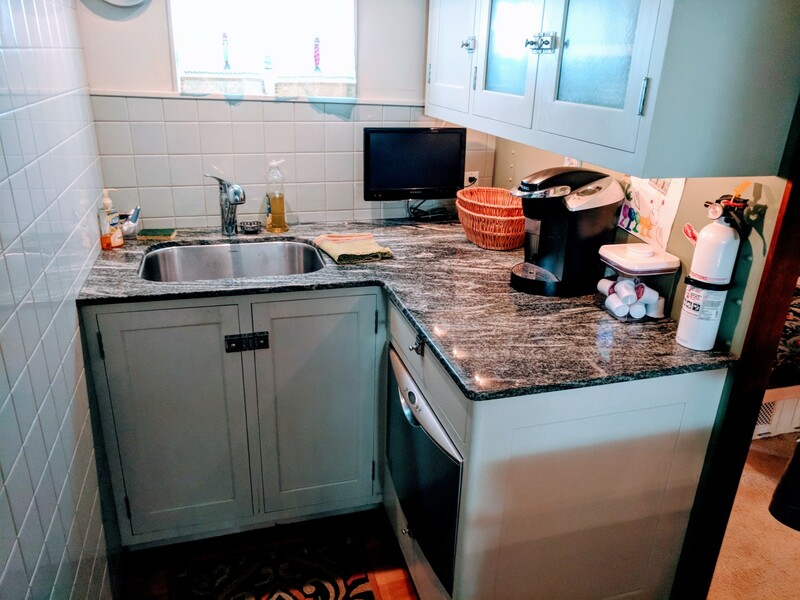 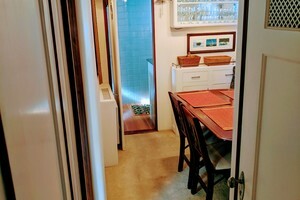 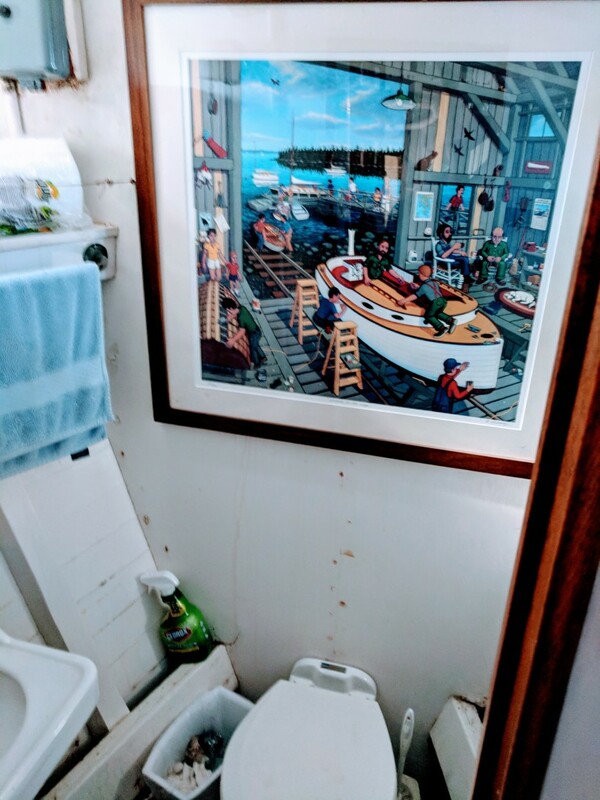 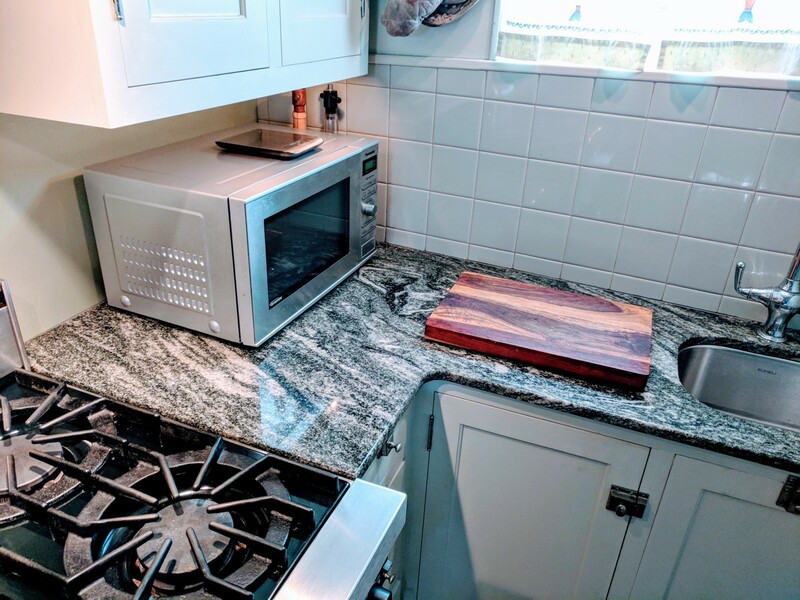 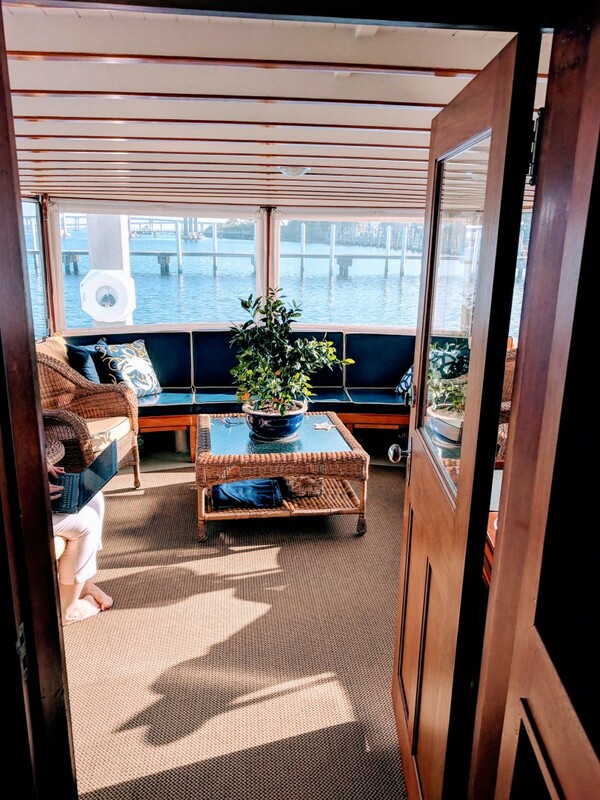 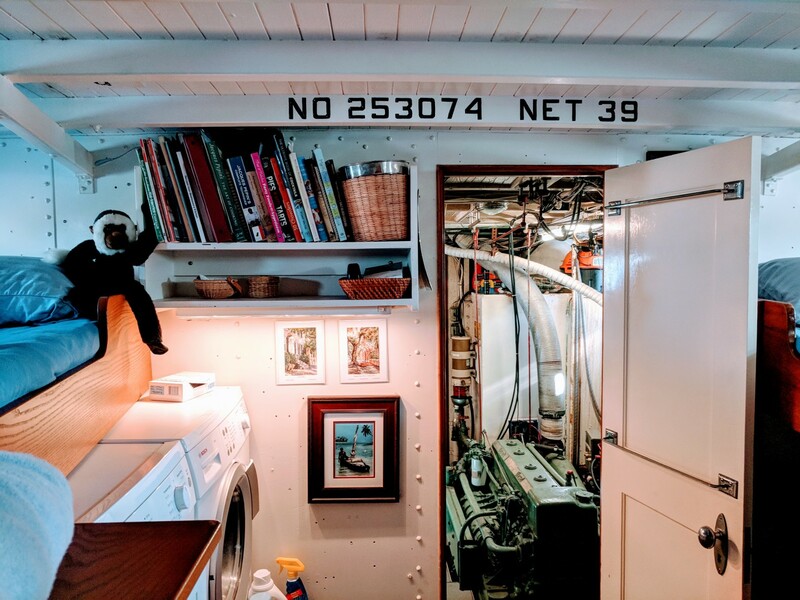 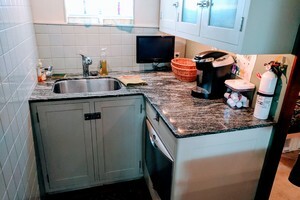 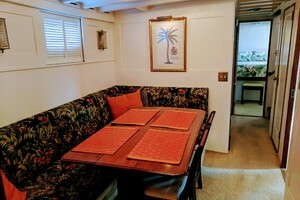 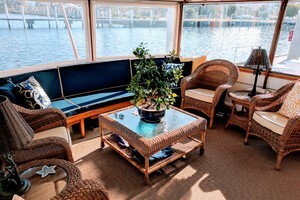 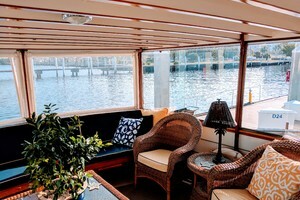 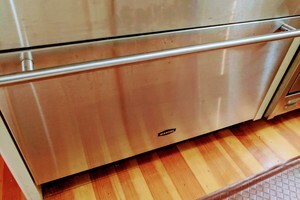 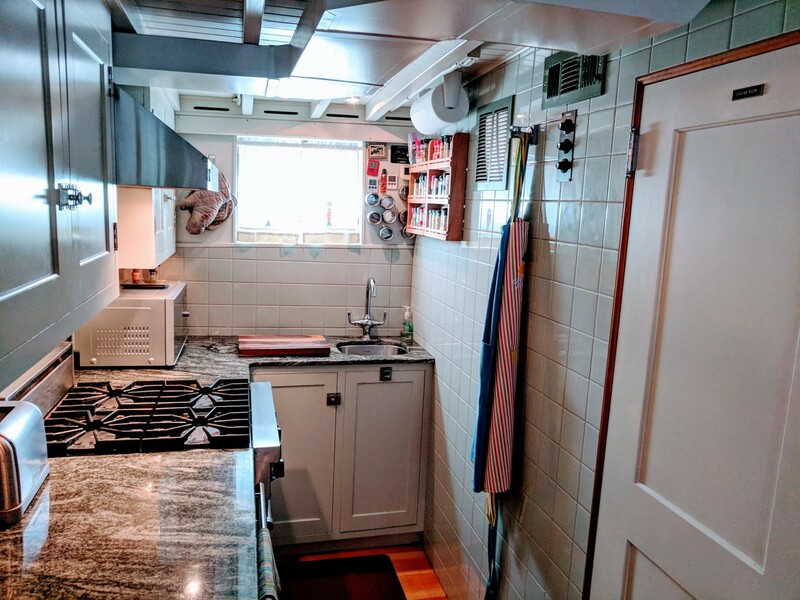 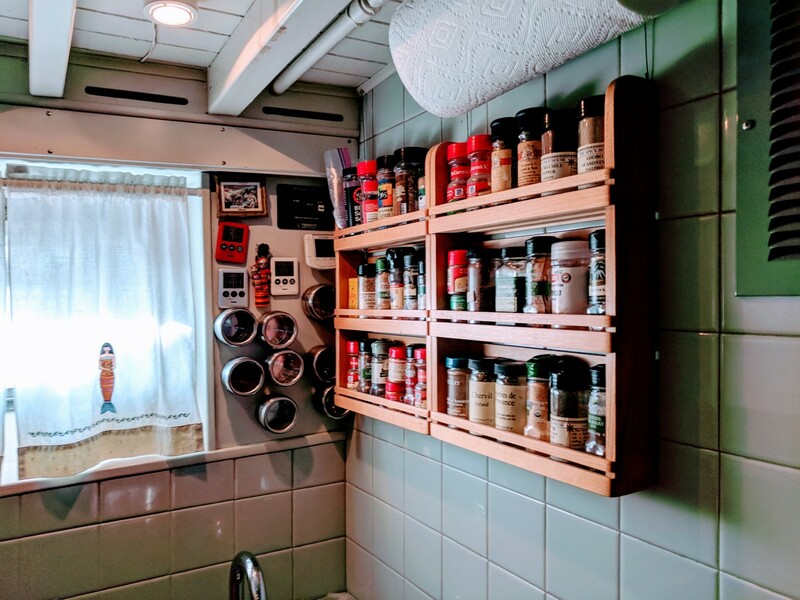 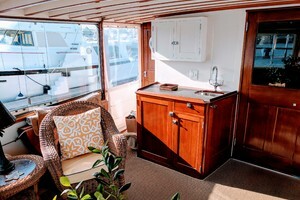 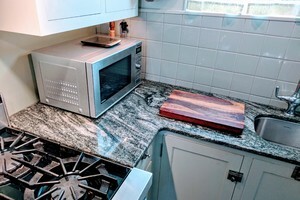 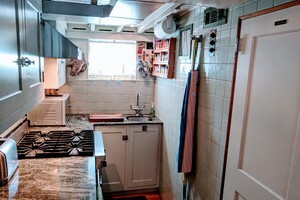 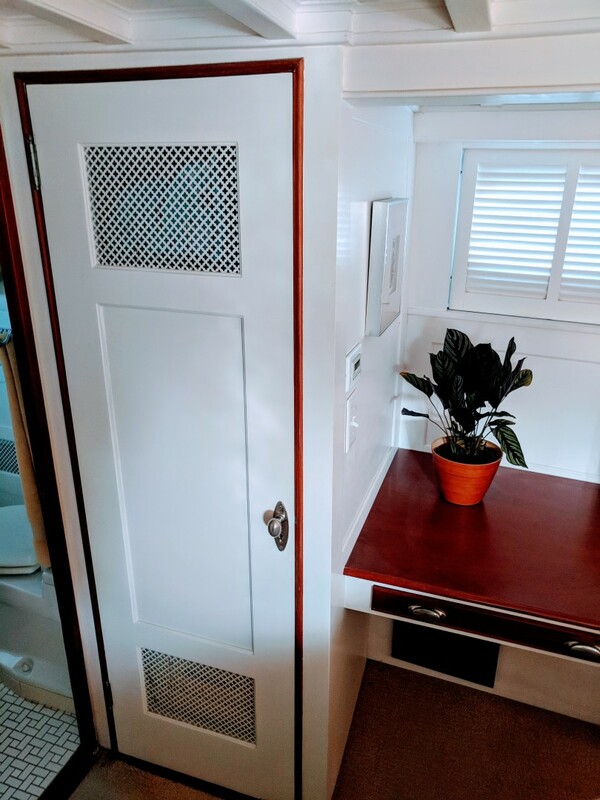 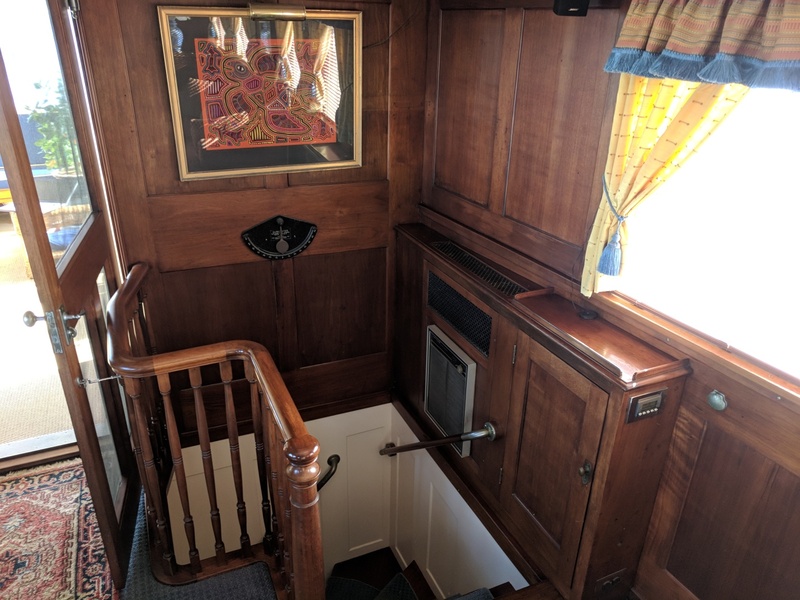 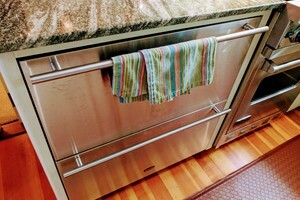 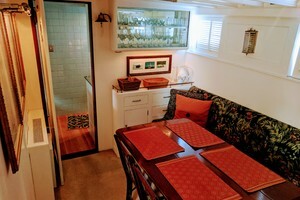 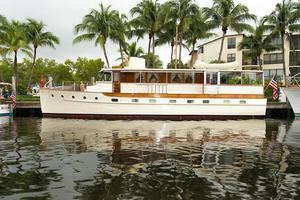 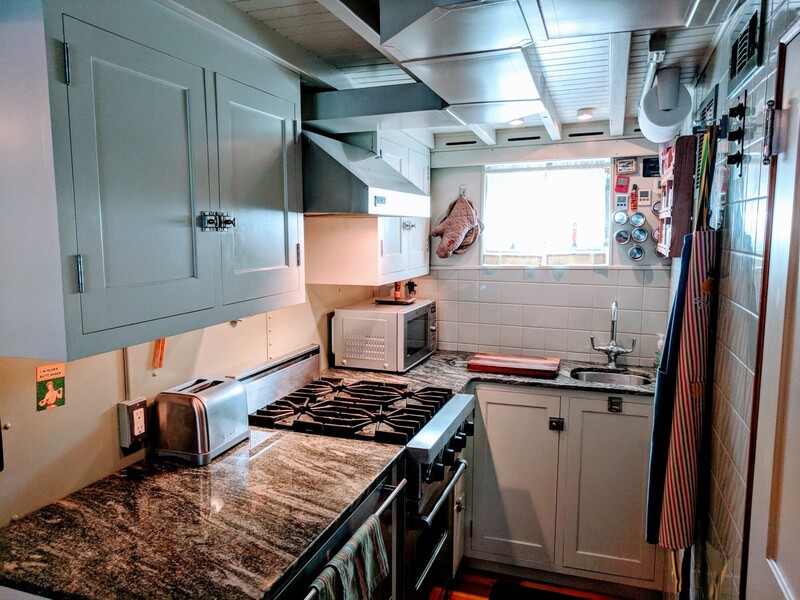 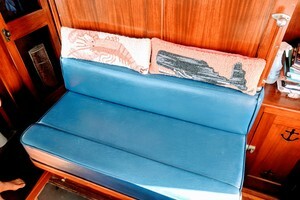 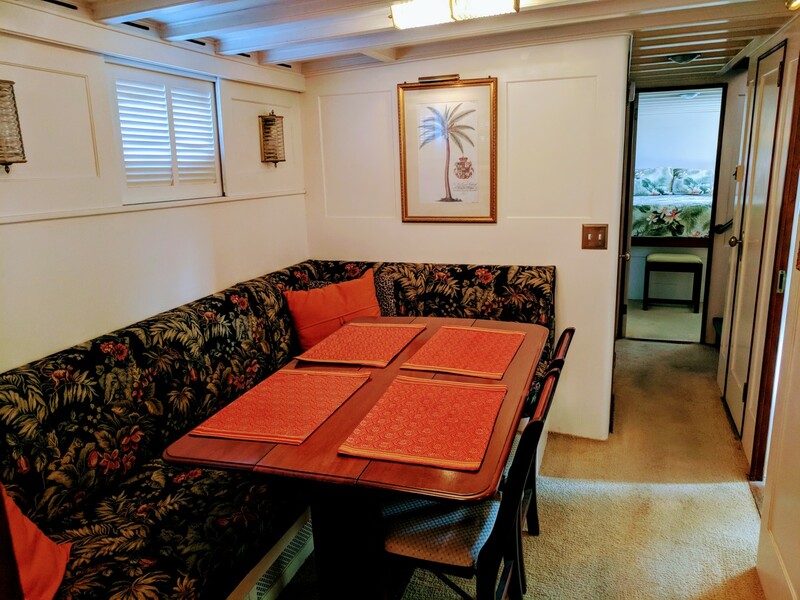 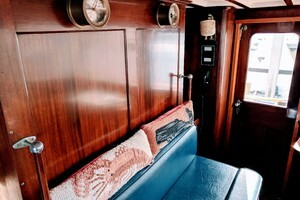 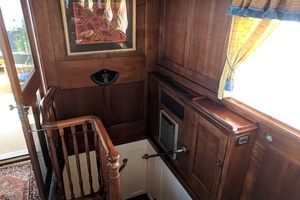 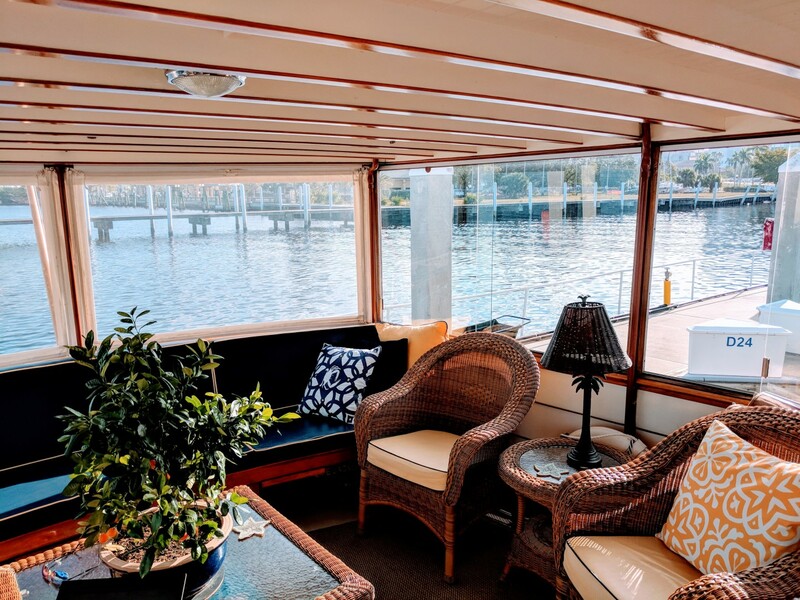 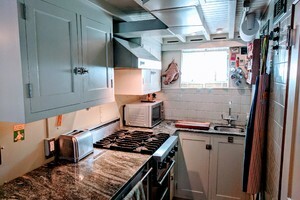 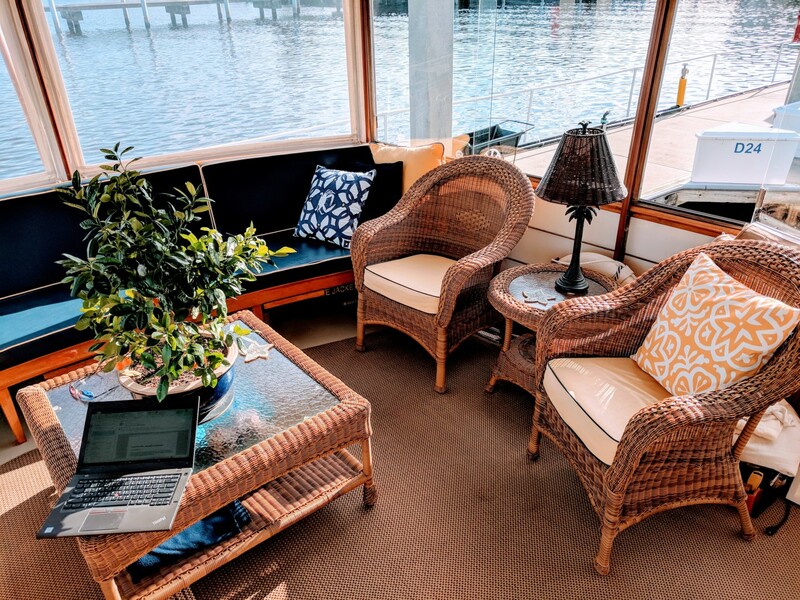 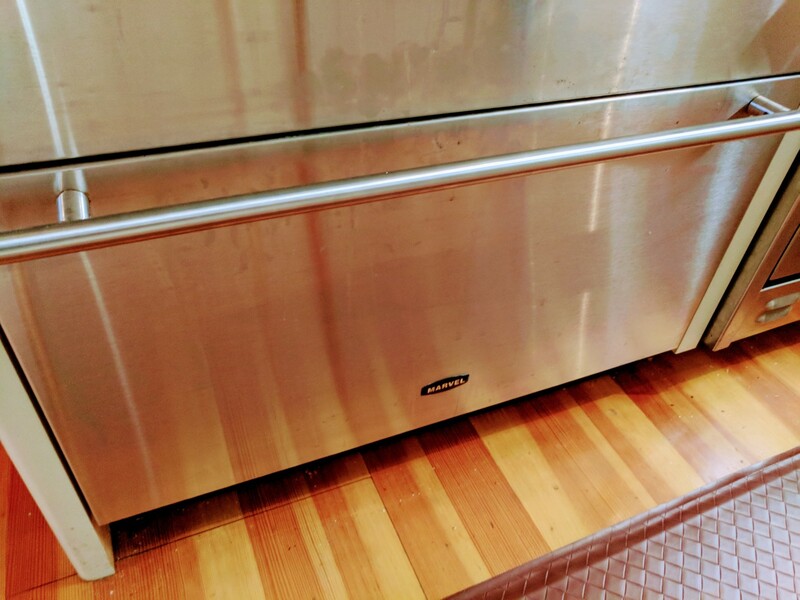 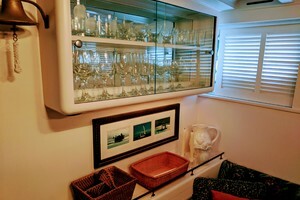 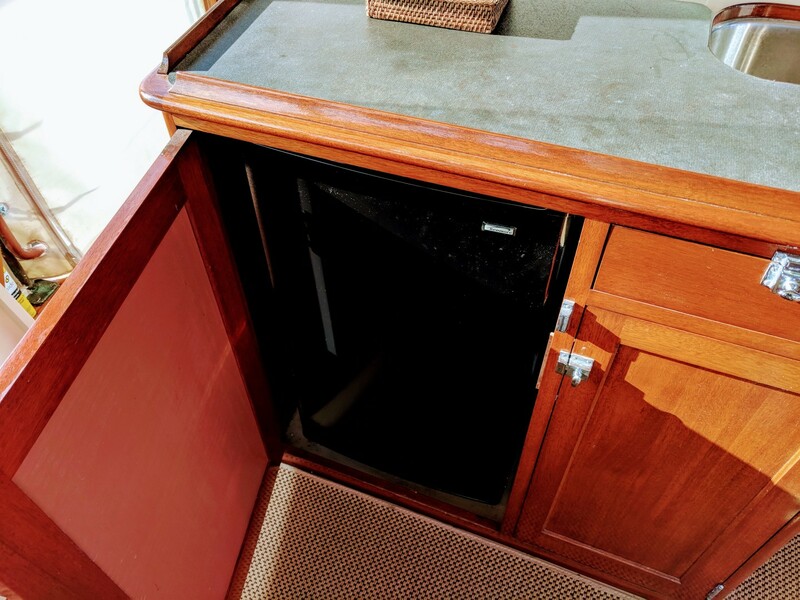 This is a rare galley down houseboat style Trumpy. 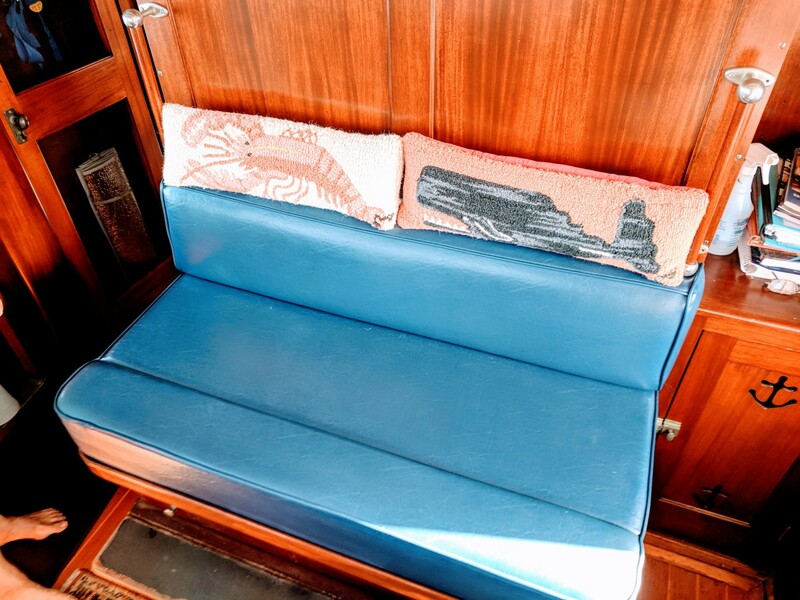 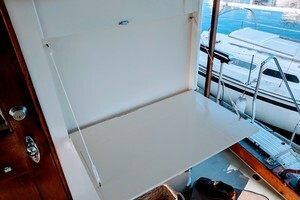 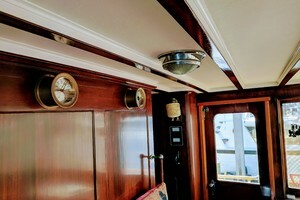 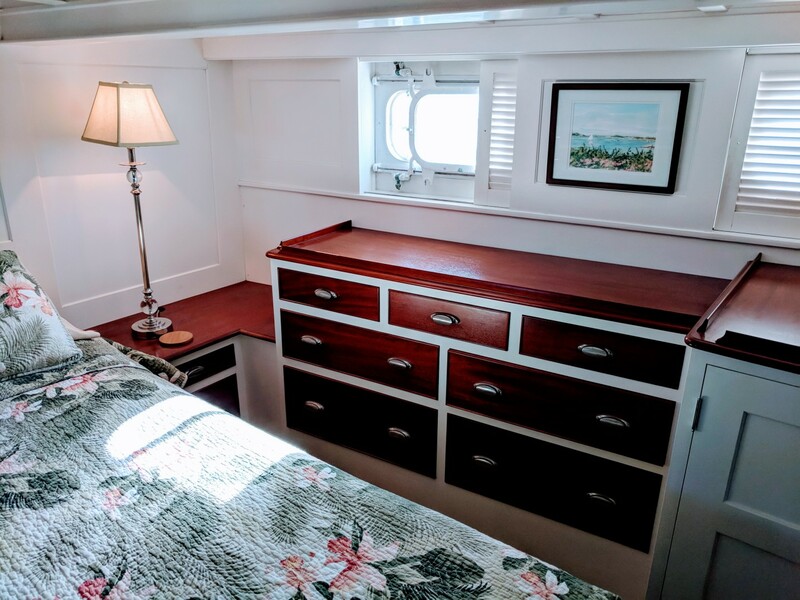 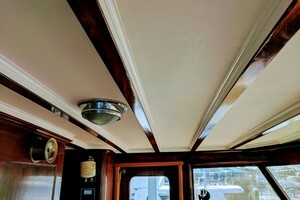 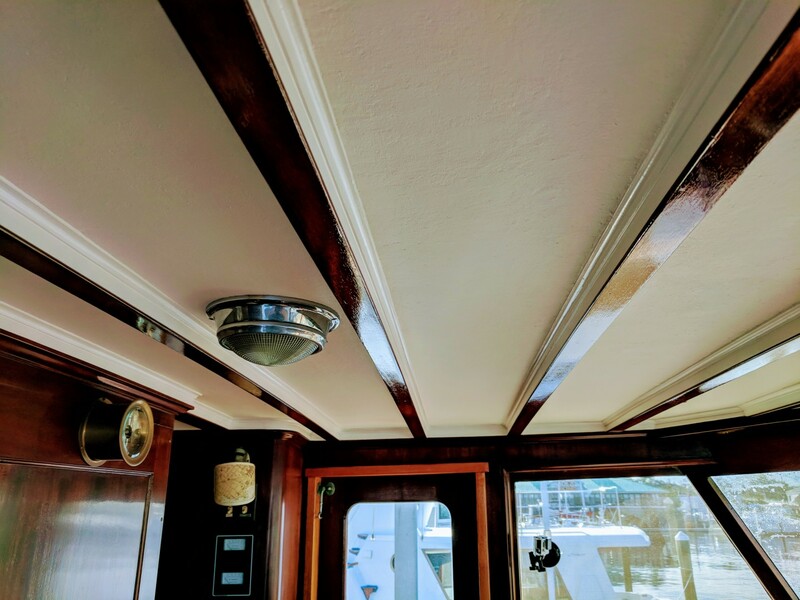 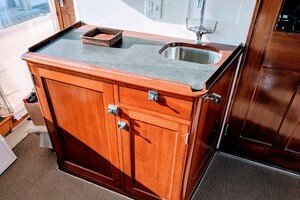 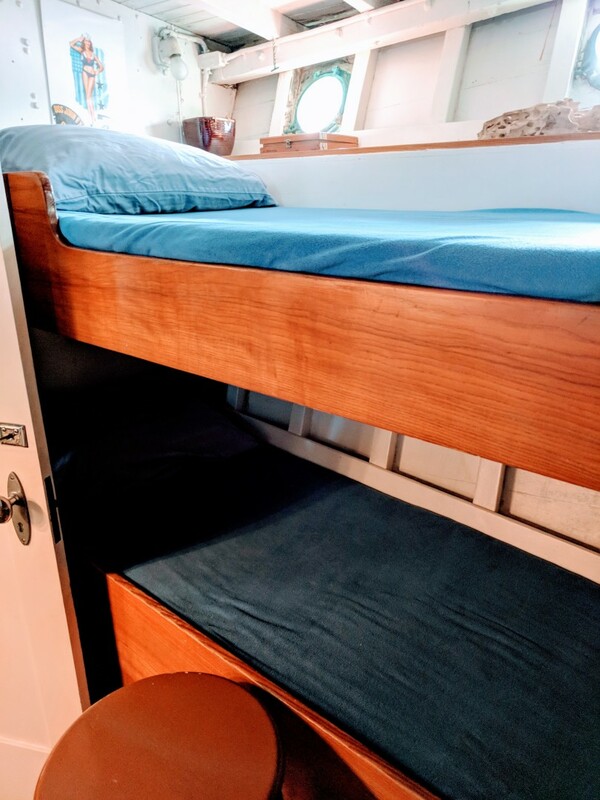 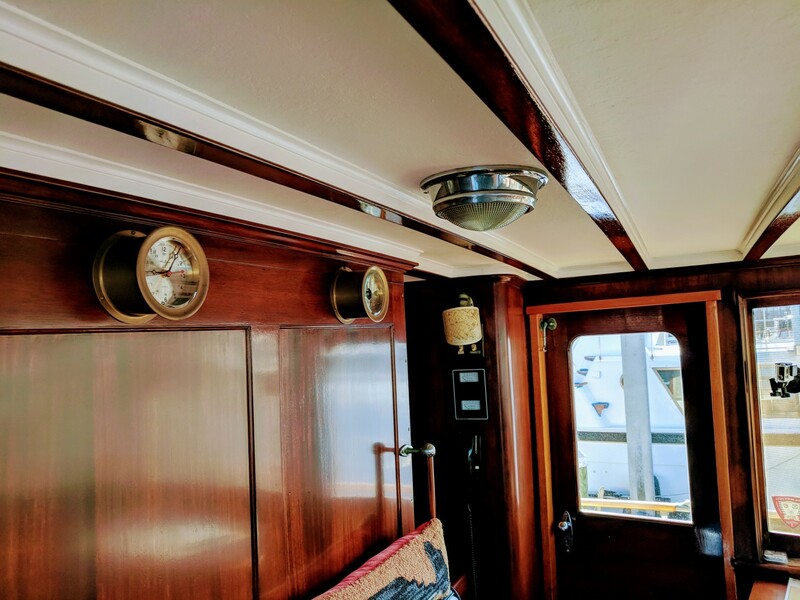 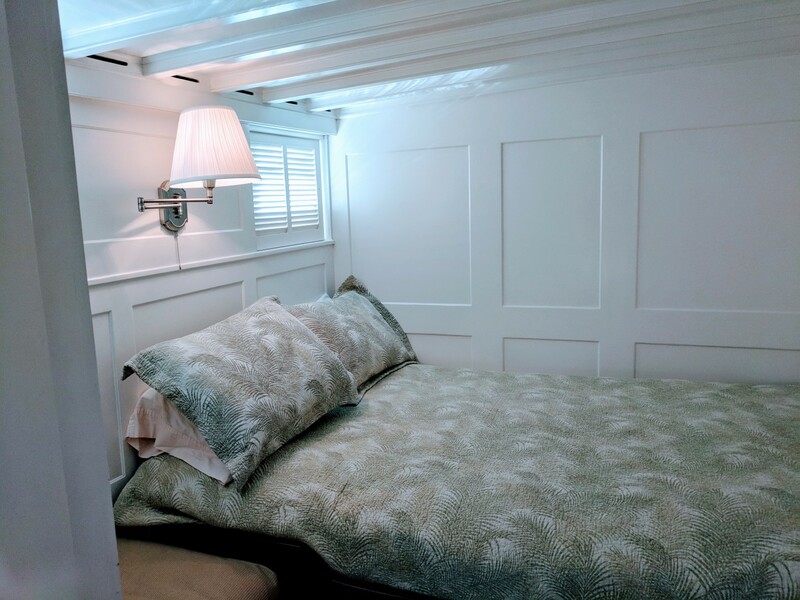 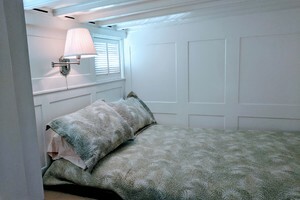 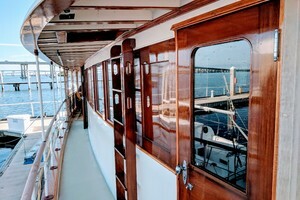 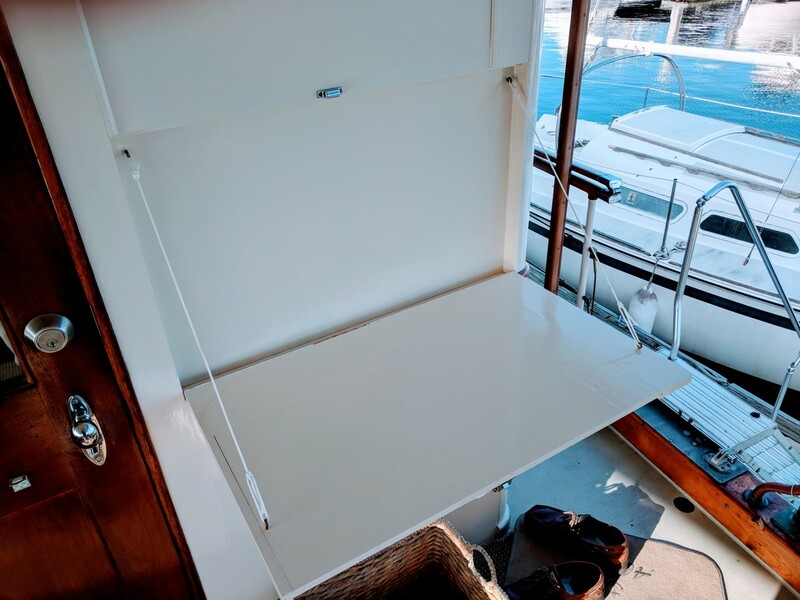 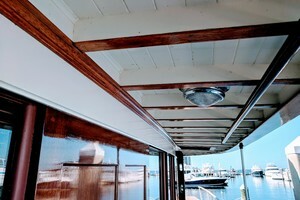 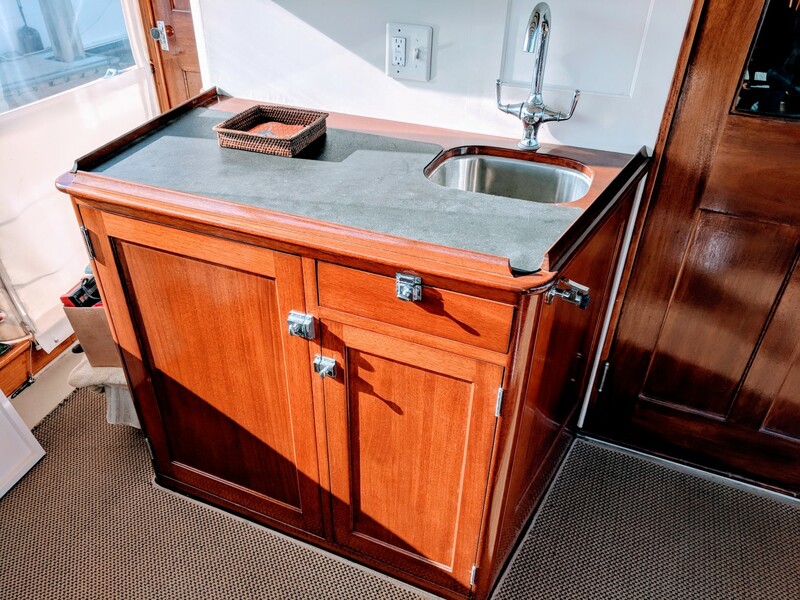 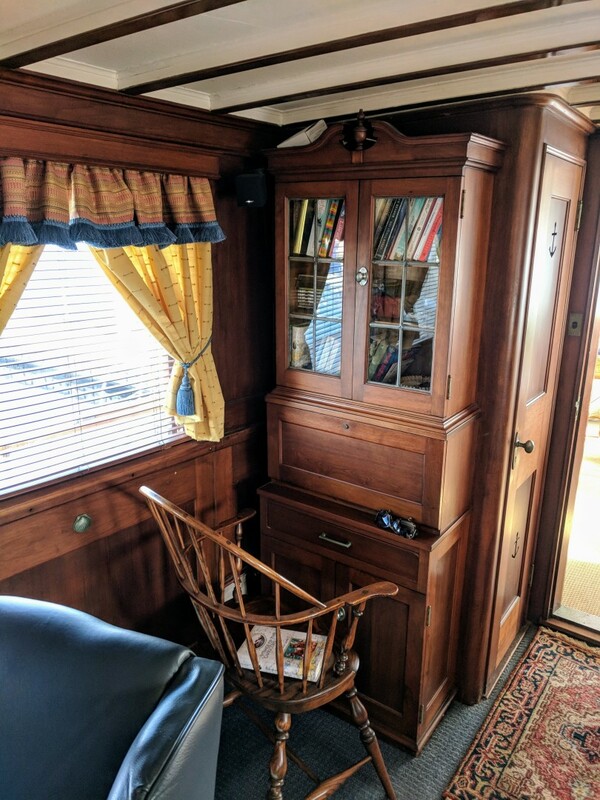 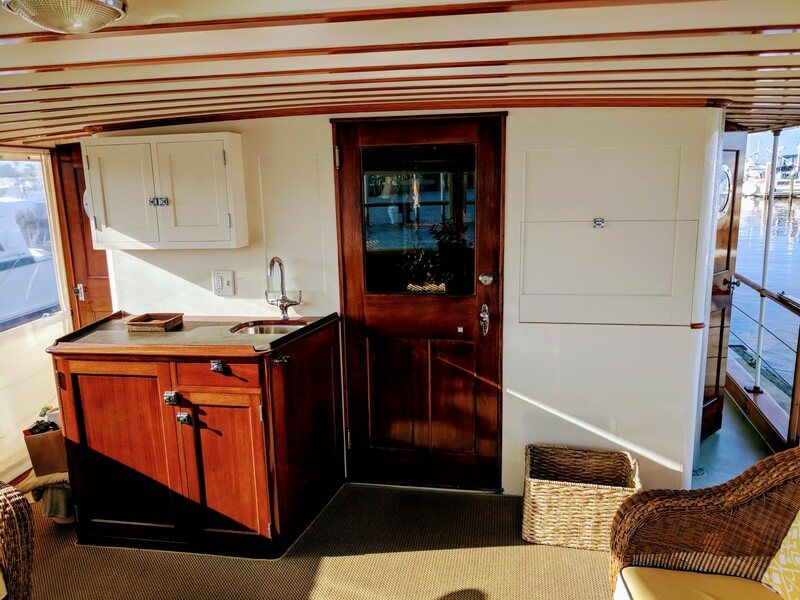 This layout provides for a much more spacious deckhouse saloon. 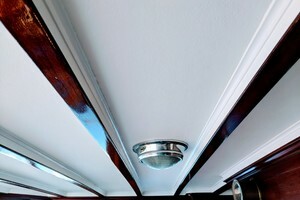 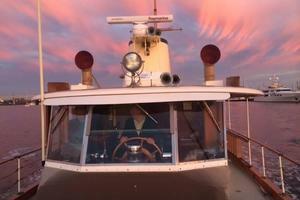 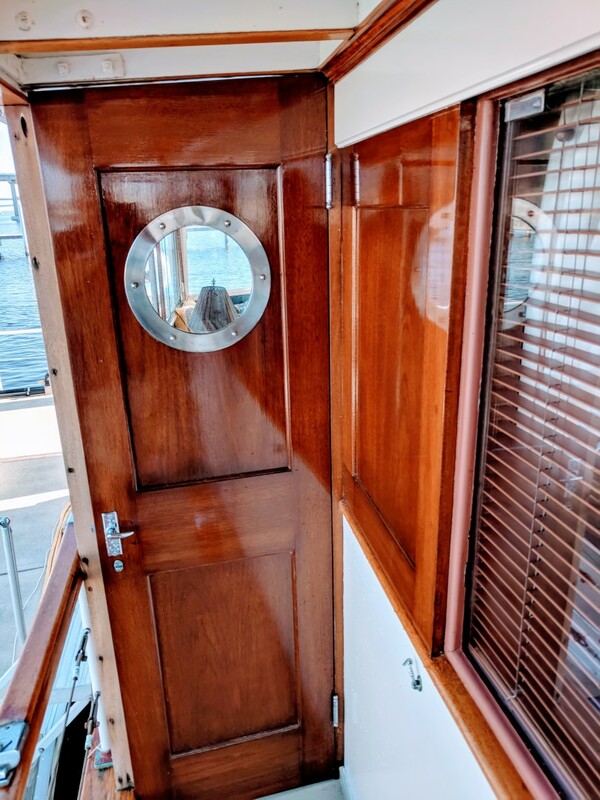 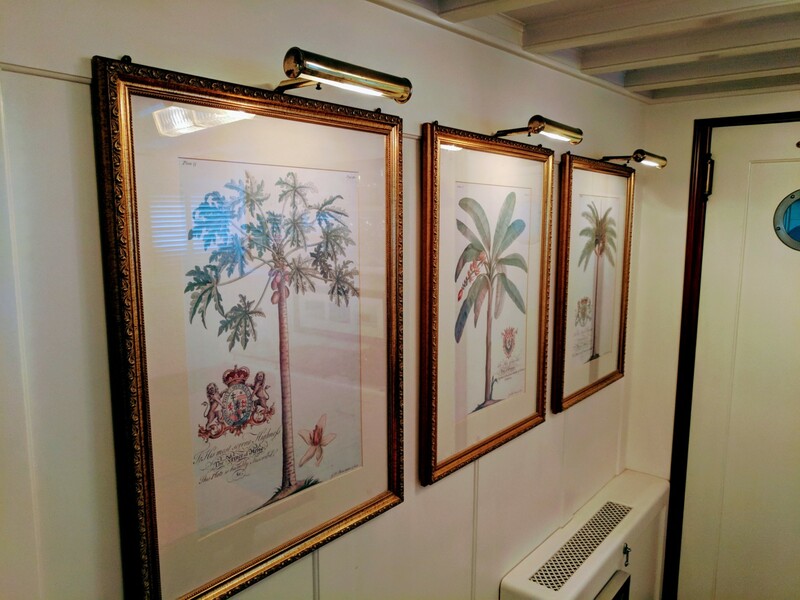 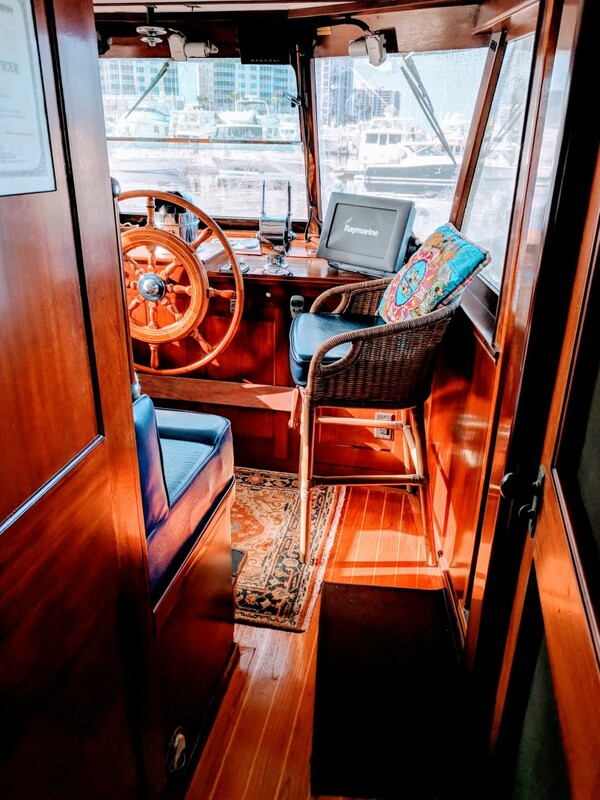 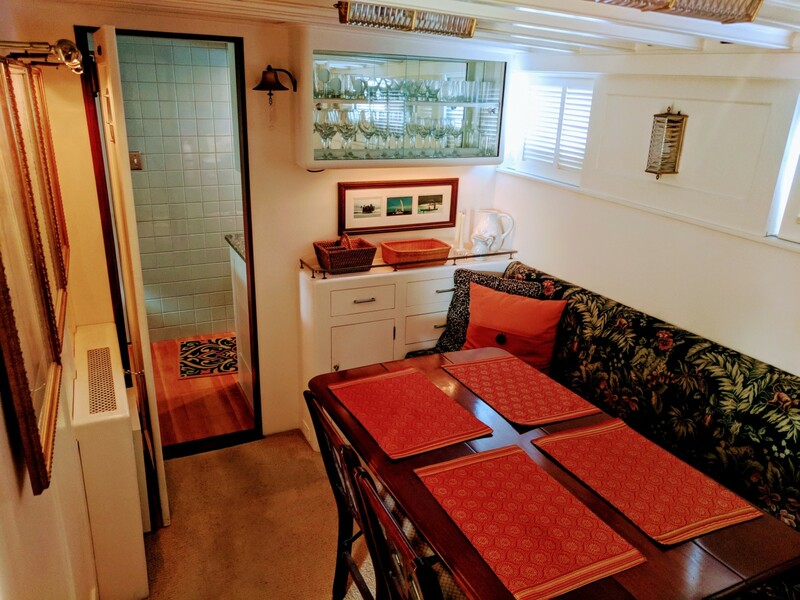 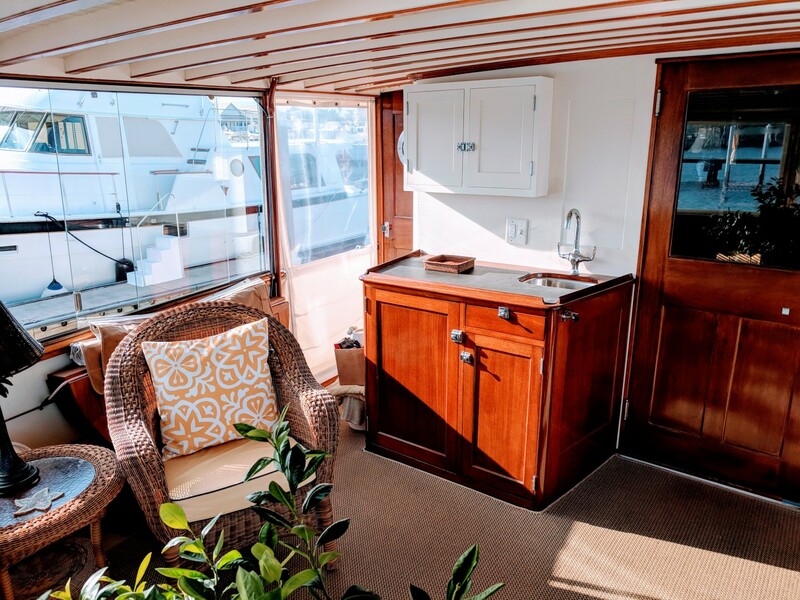 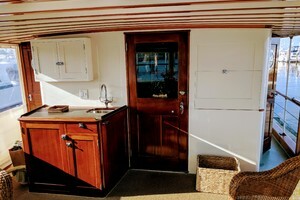 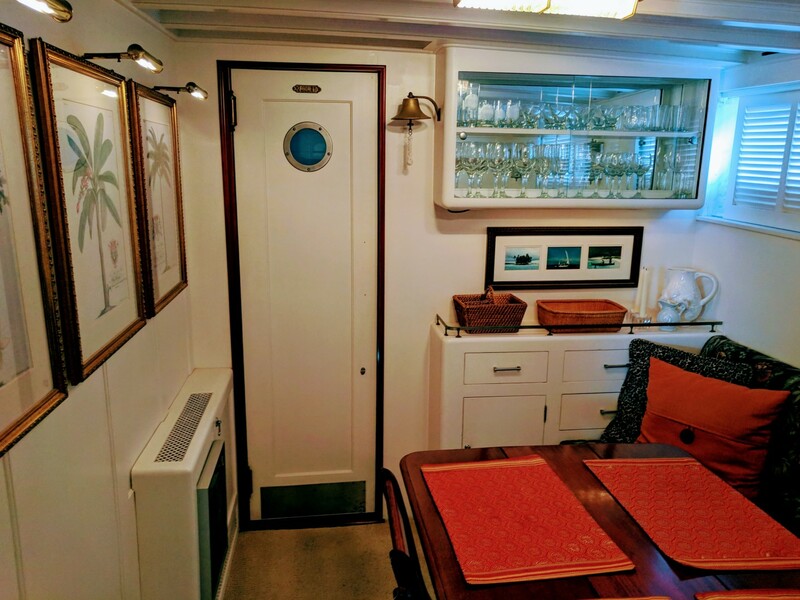 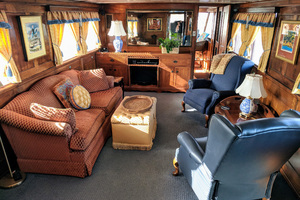 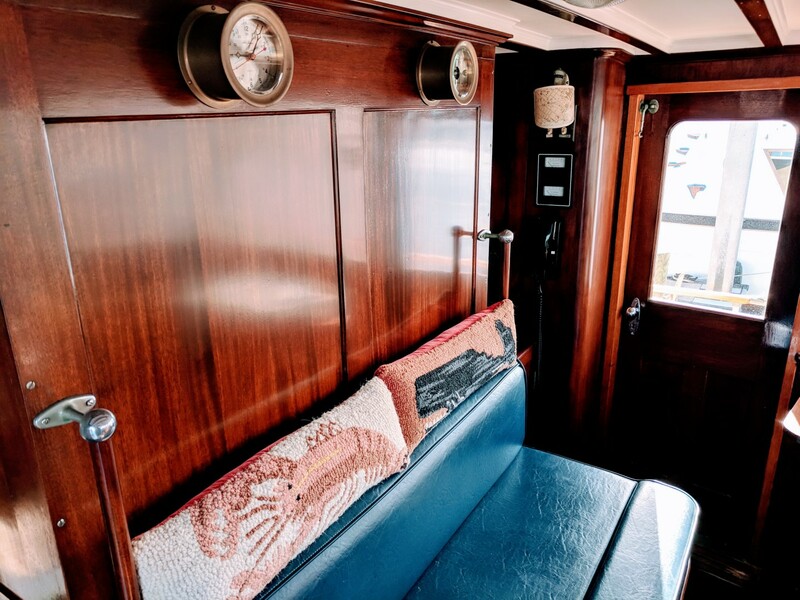 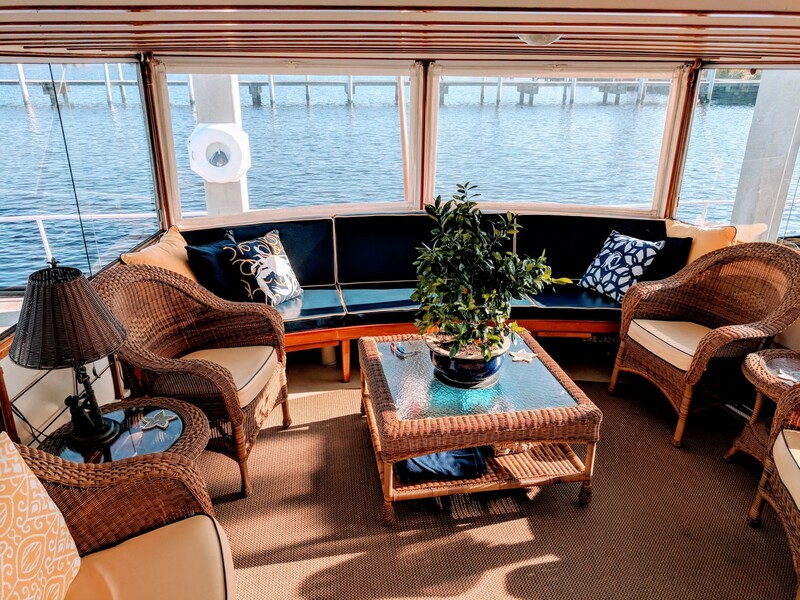 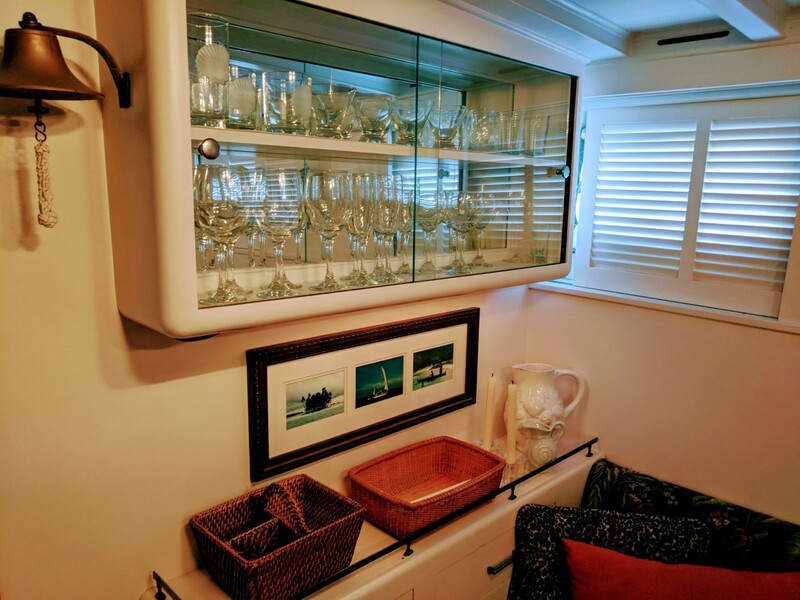 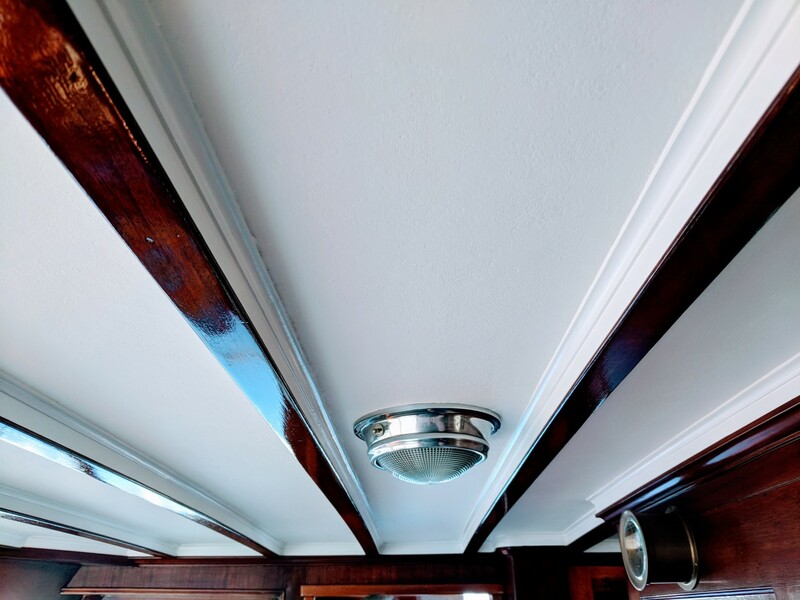 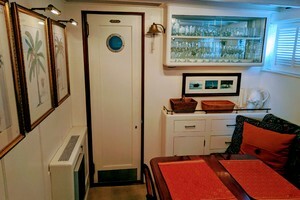 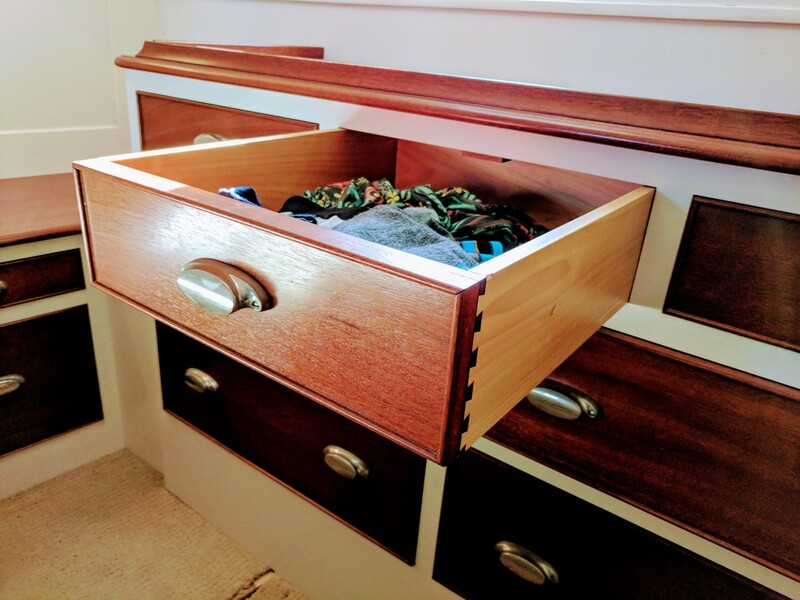 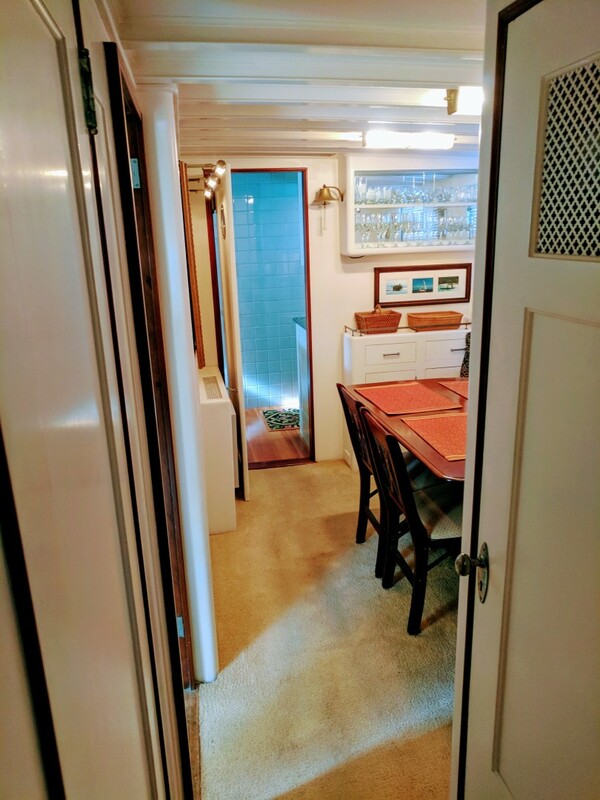 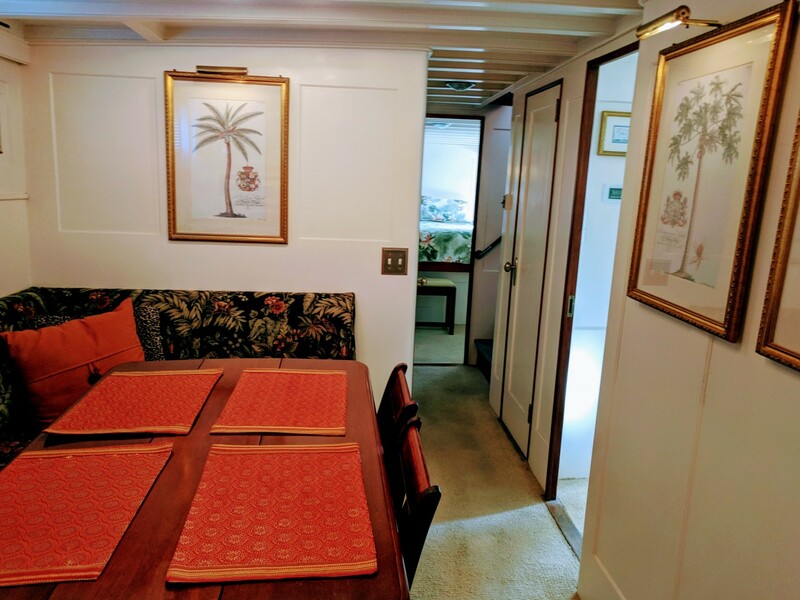 The beautifully updated galley is below amidships, along with a very comfortable dining saloon to starboard. 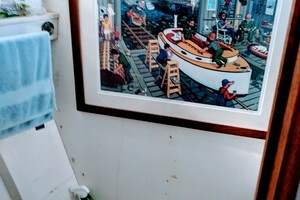 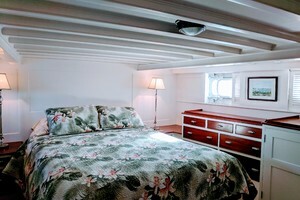 The master stateroom is aft with a queen berth. 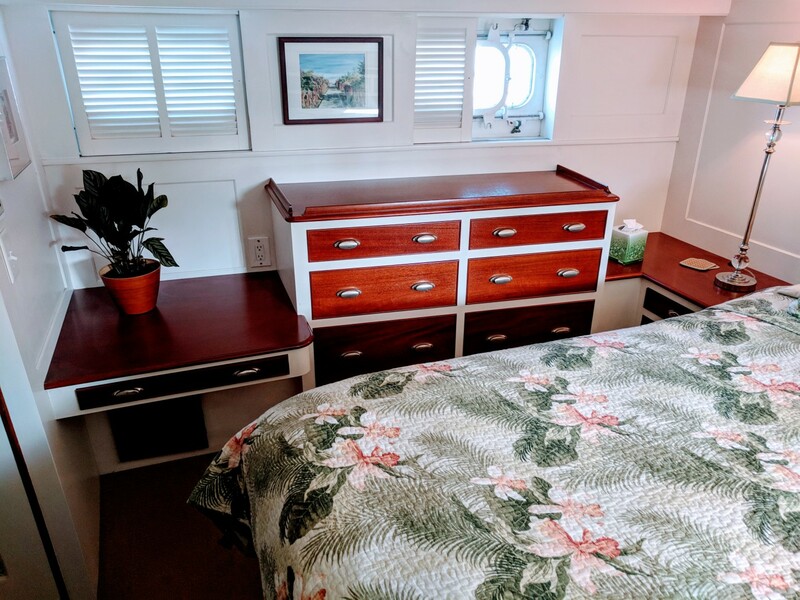 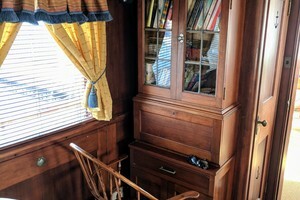 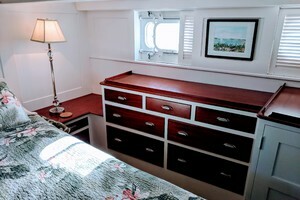 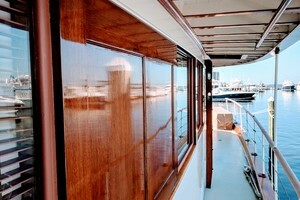 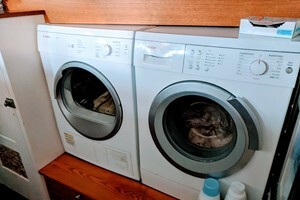 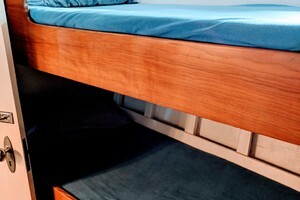 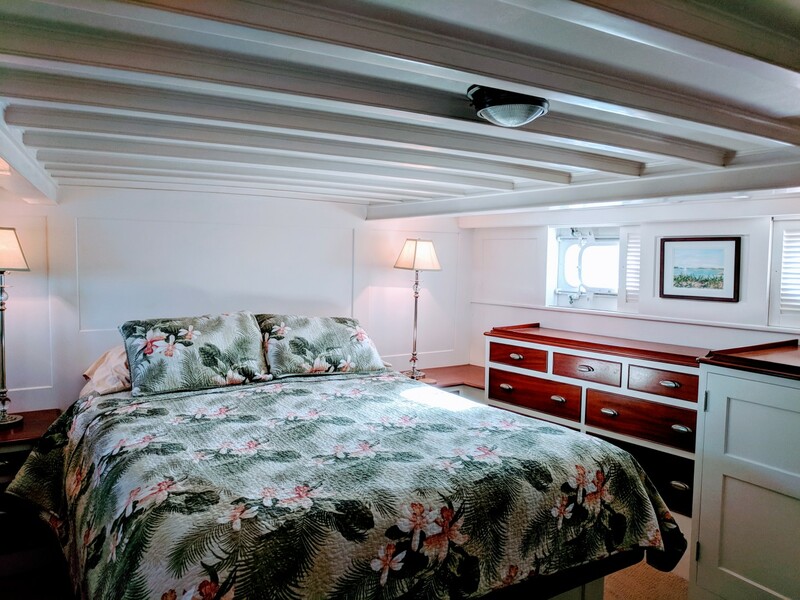 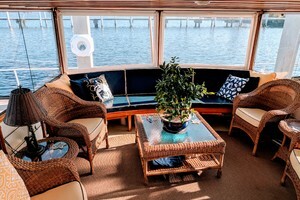 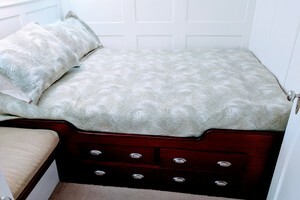 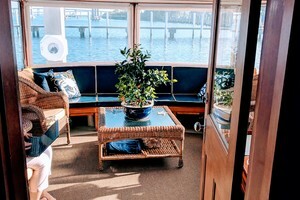 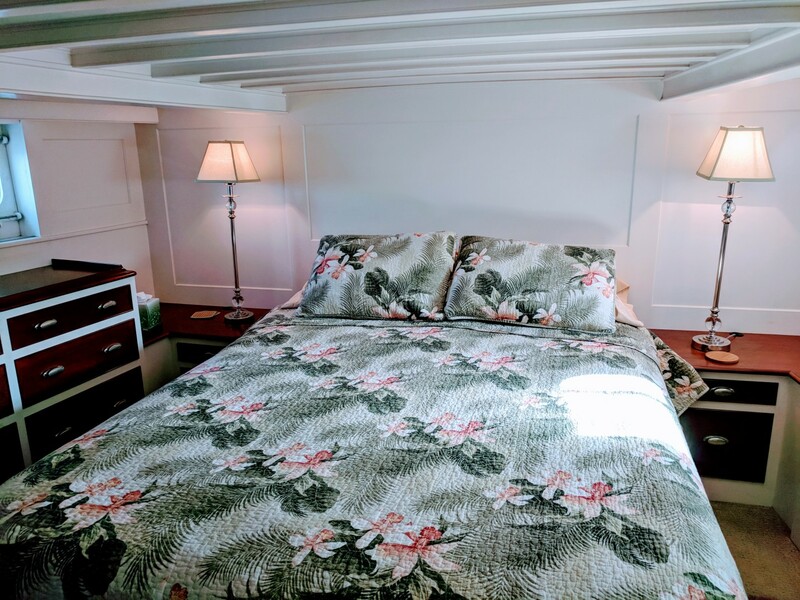 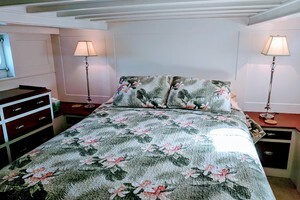 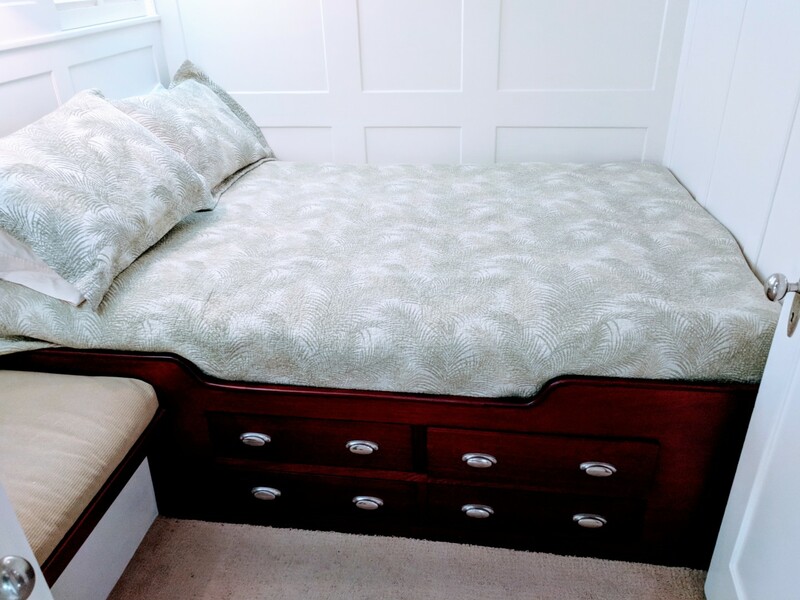 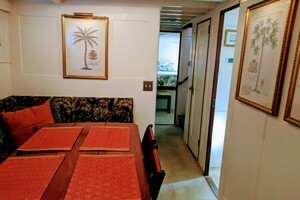 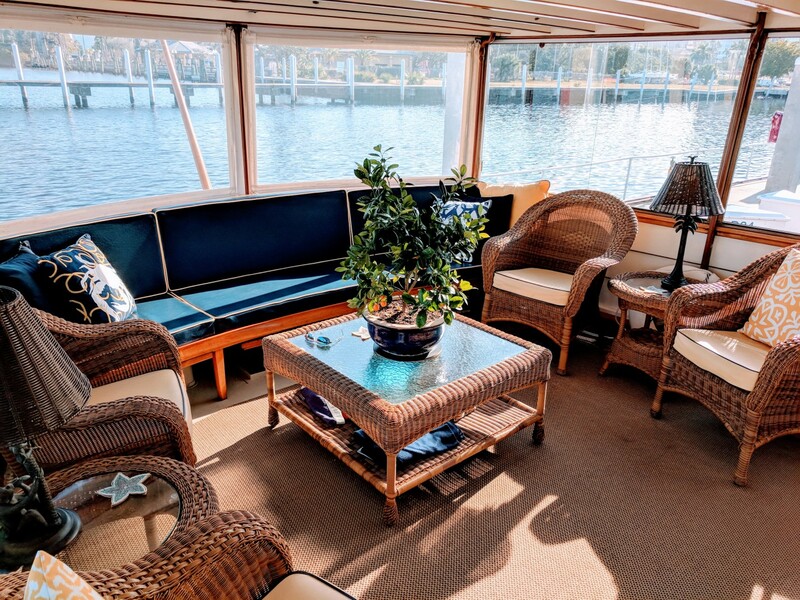 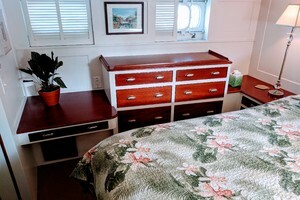 The guest stateroom is on the port side with a double berth. 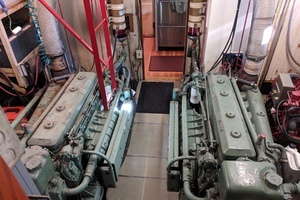 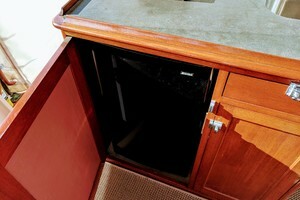 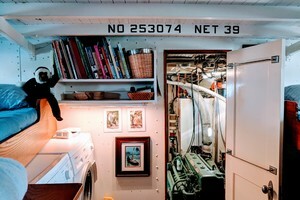 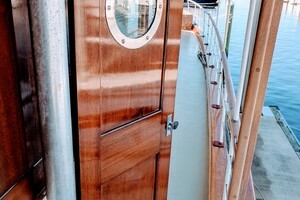 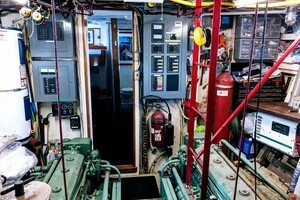 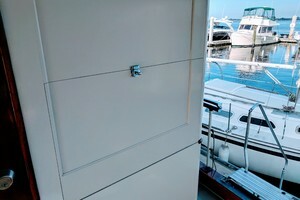 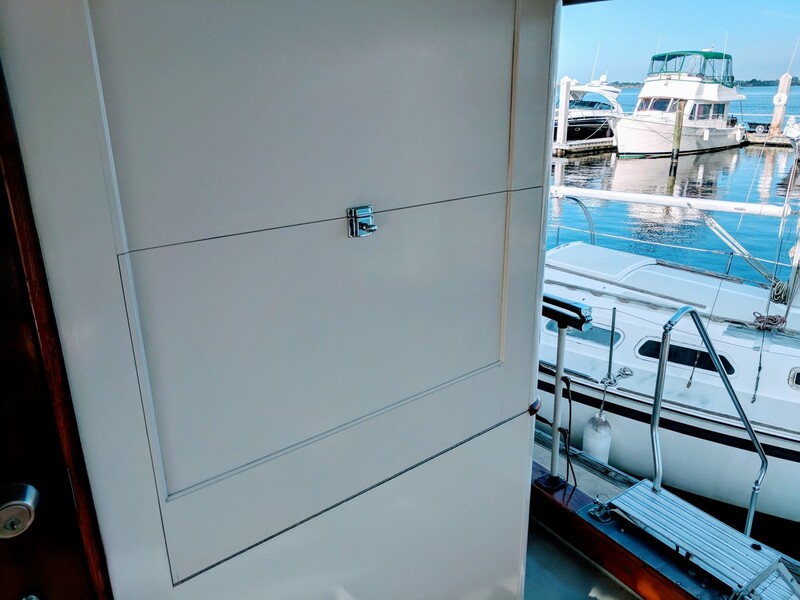 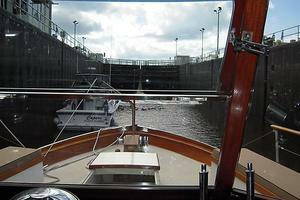 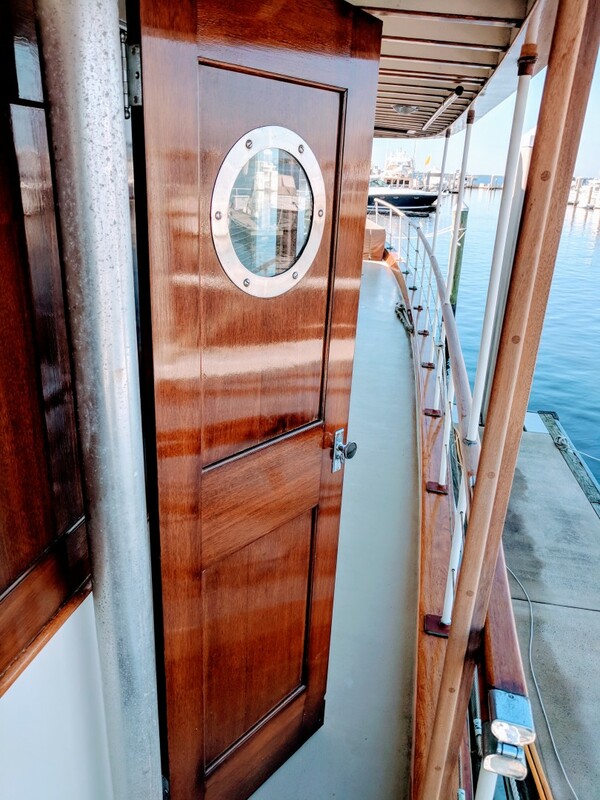 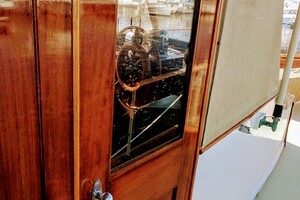 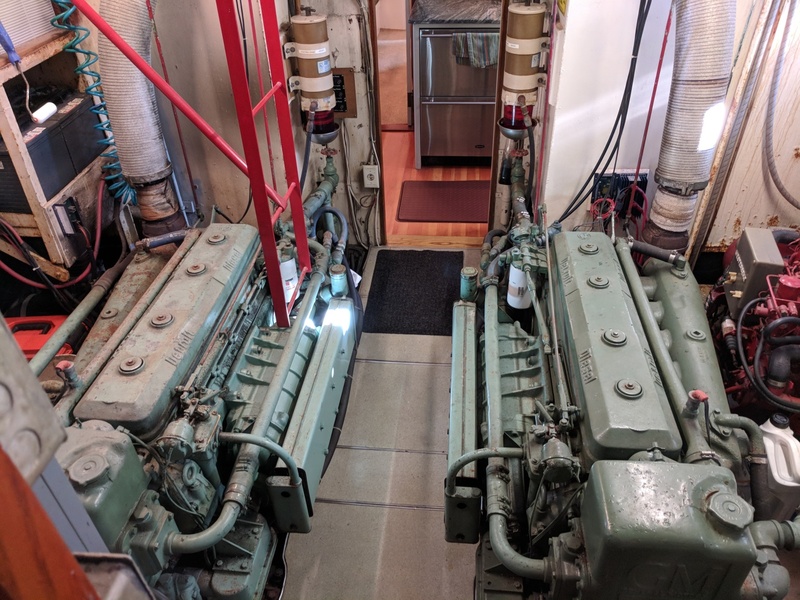 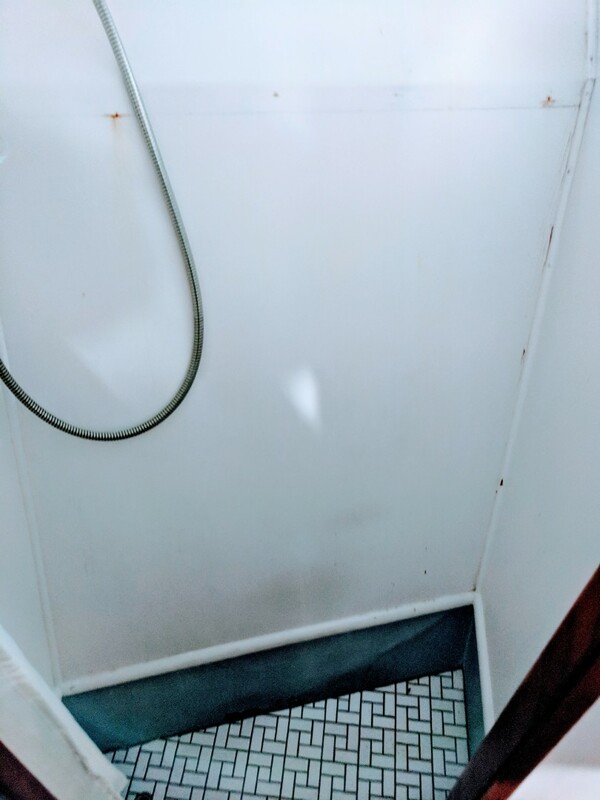 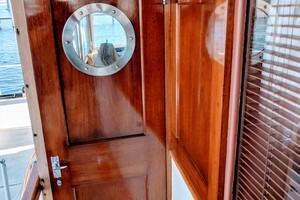 The crew area is forward of the walk-in engineroom and can also be accessed from the foredeck. 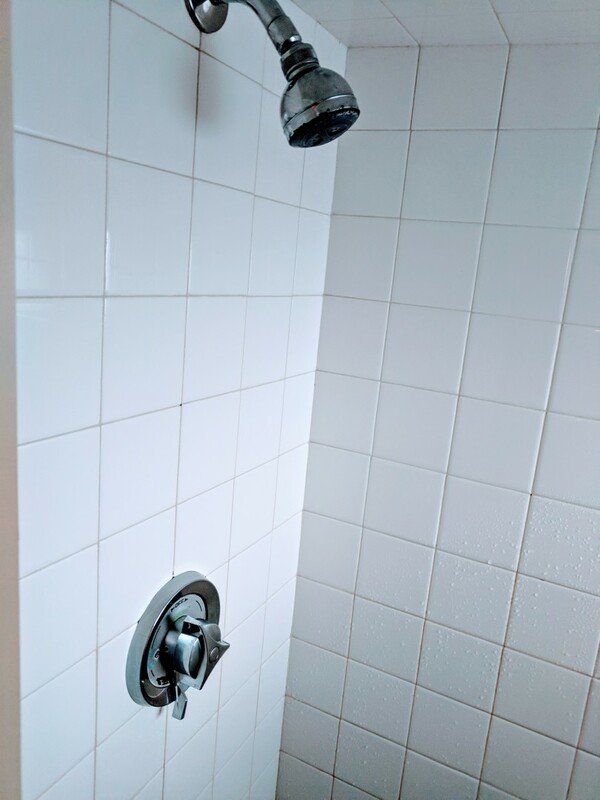 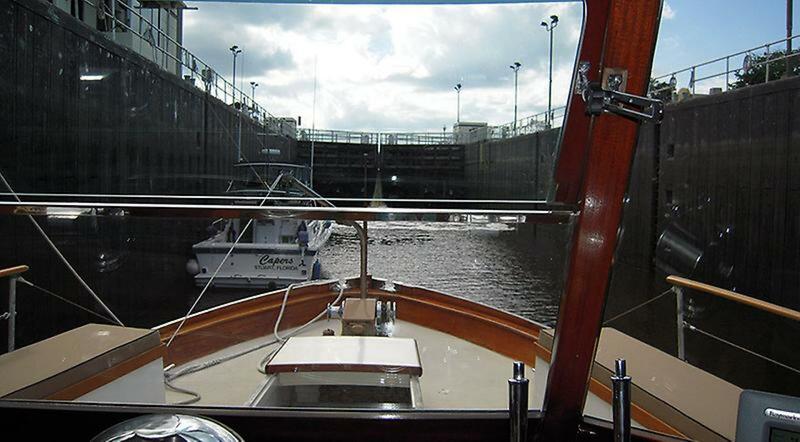 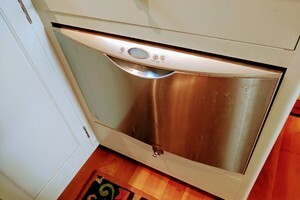 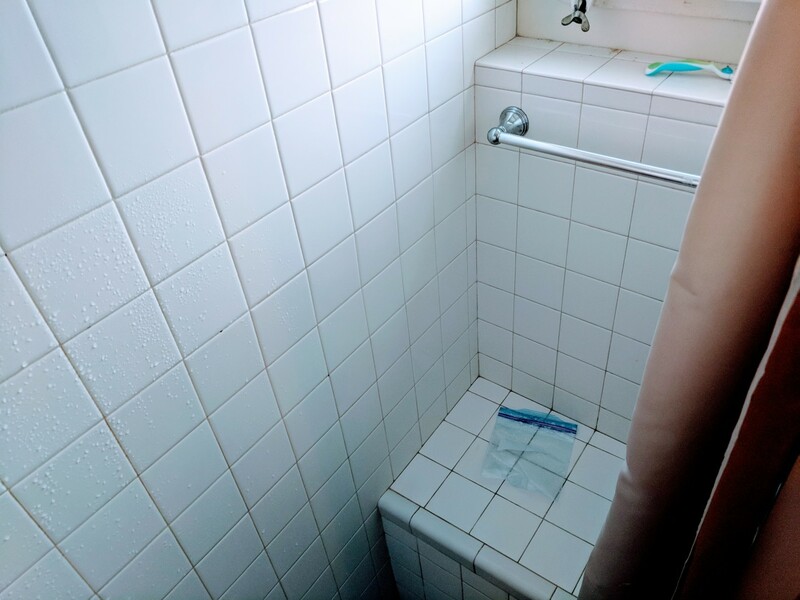 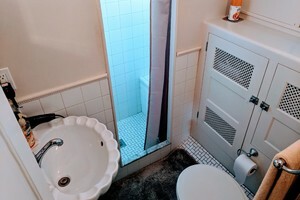 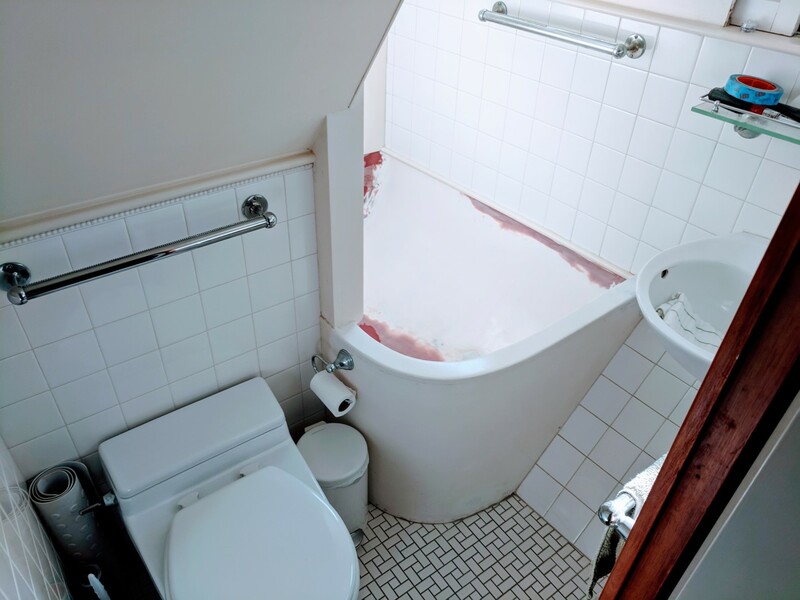 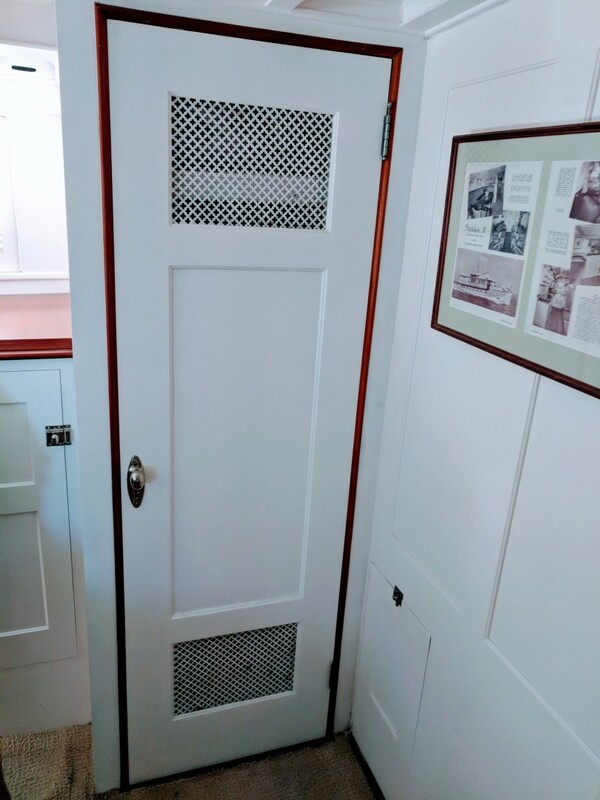 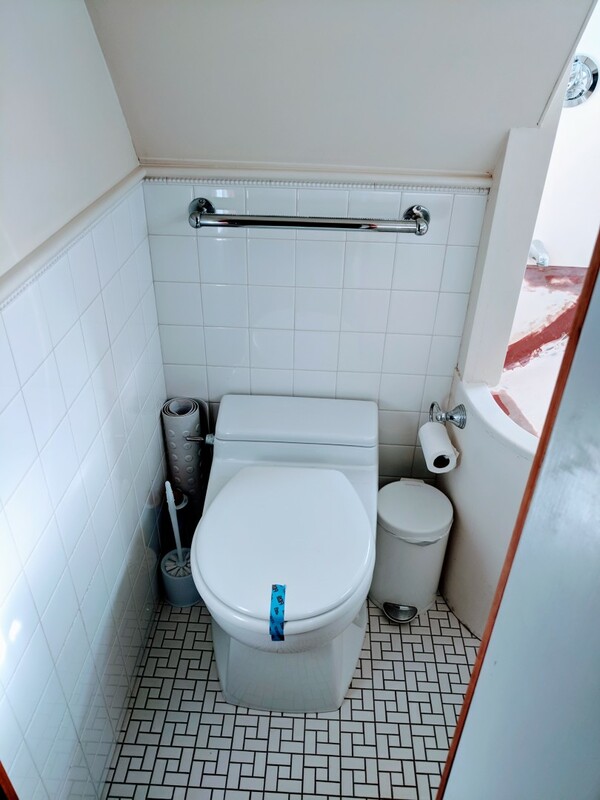 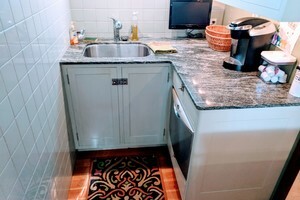 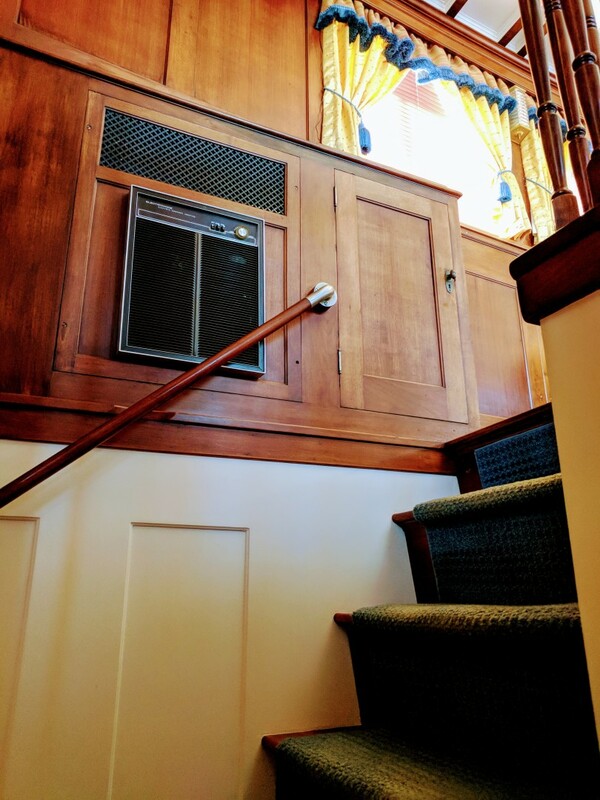 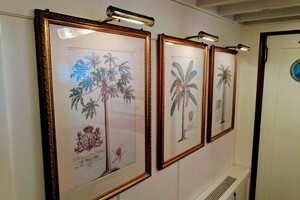 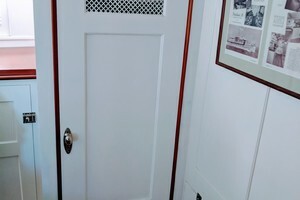 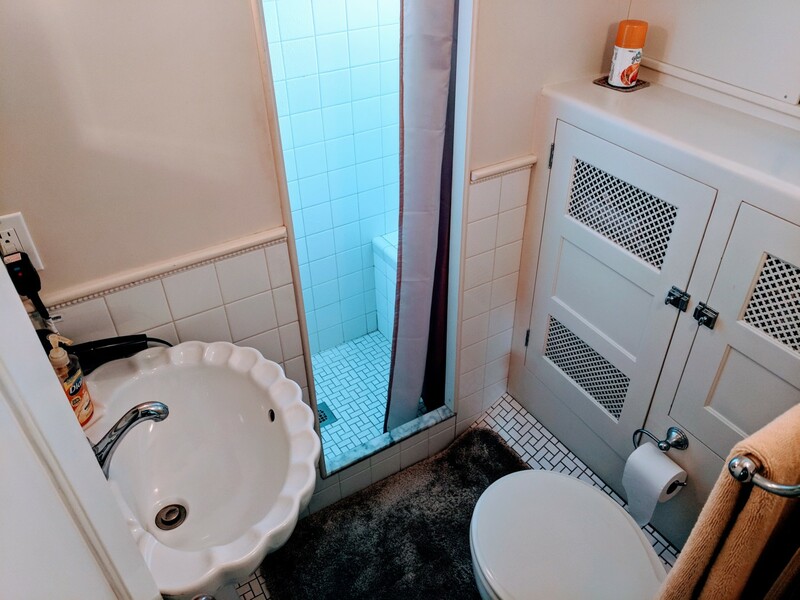 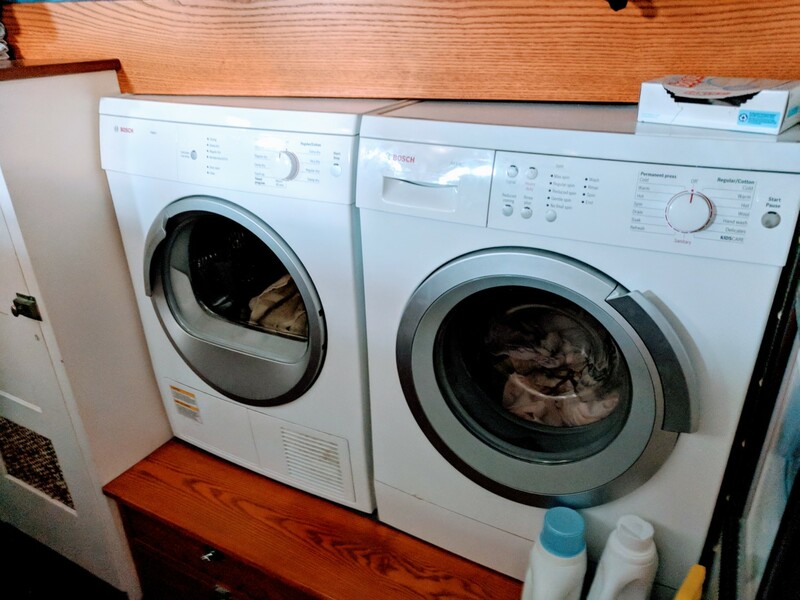 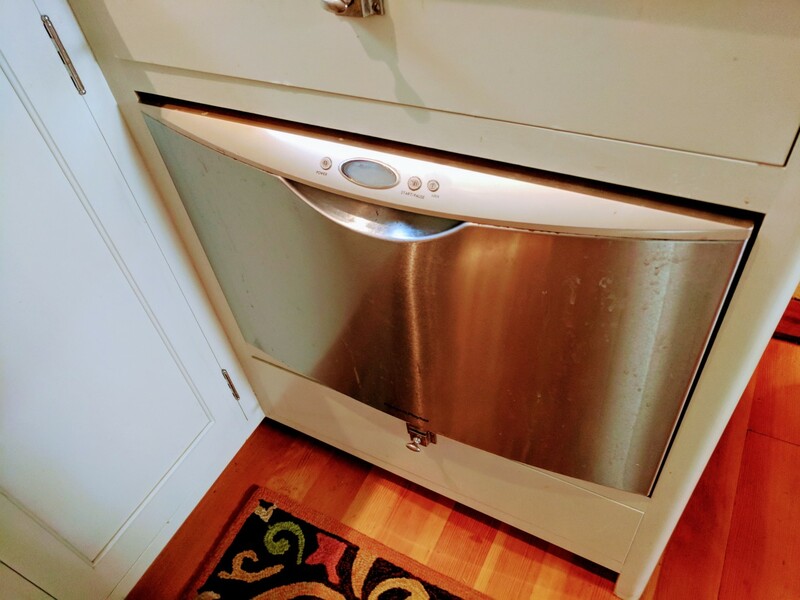 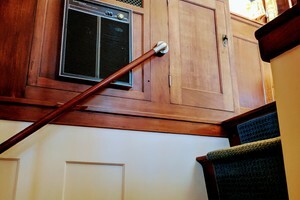 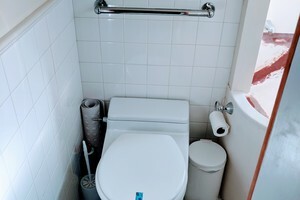 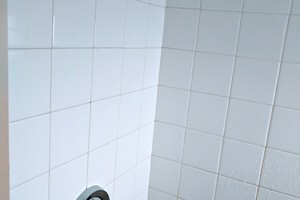 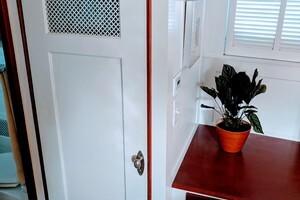 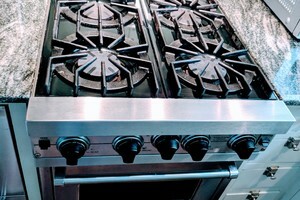 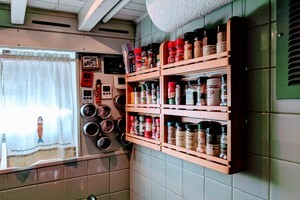 Accessible through engineroom or from fore deck. 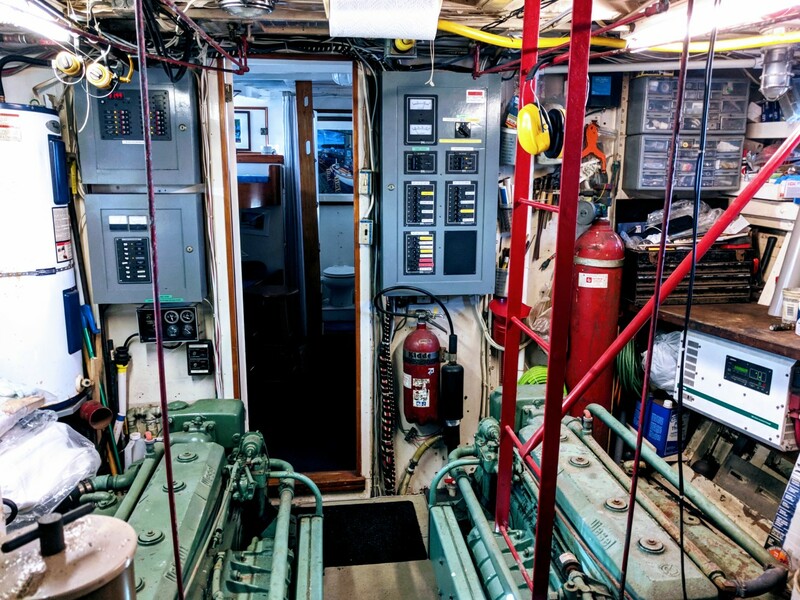 Recent re-wire with new breaker panels.